The 2016 tour had more 'new locations' than ever before. 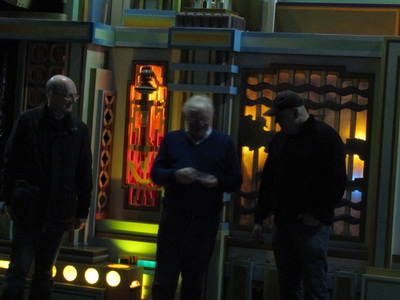 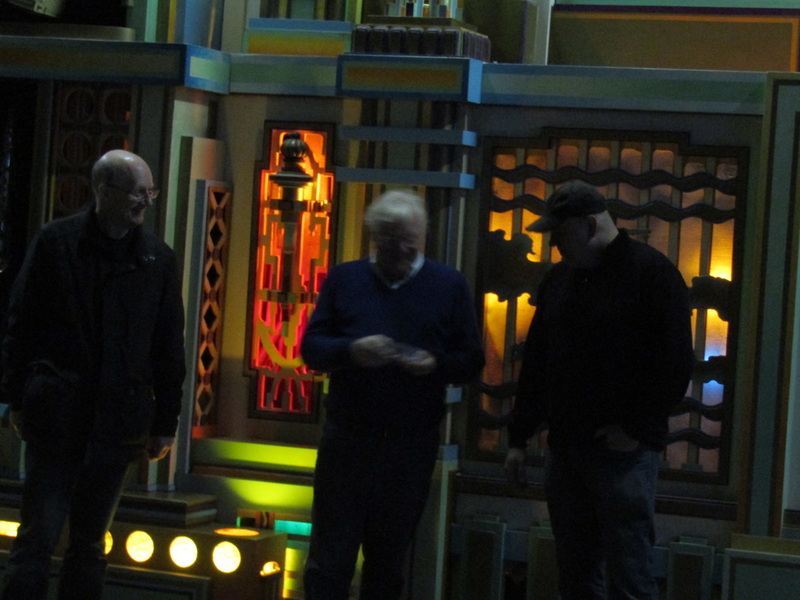 We have worked hard to find some really different things that only a handful of people may have seen. 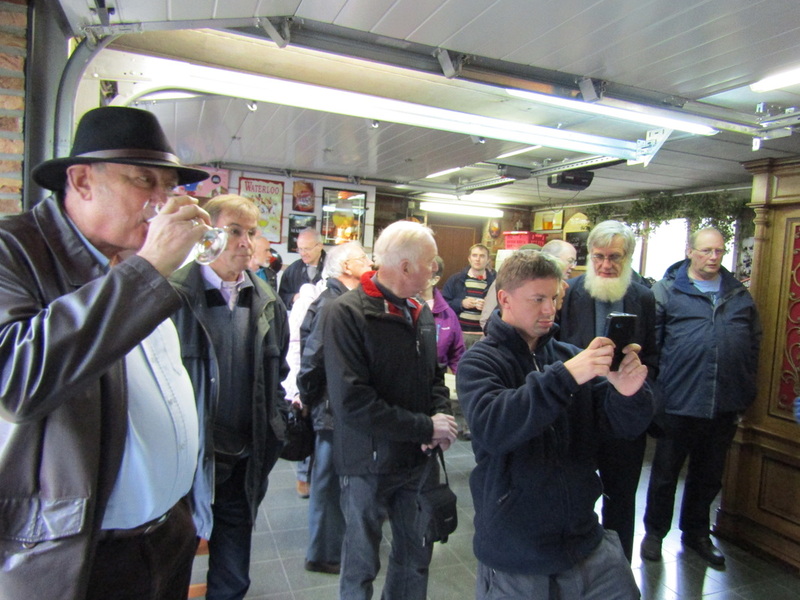 Adding up the cost of the travel, accommodation, breakfast and evening meals, we are confident you would not be able to see this much for this price. The MOOS Tour is a holiday you will not forget! 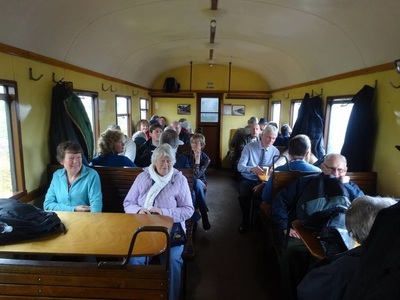 We are limited to the amount of seats on the coach, and it's usually a sell out. 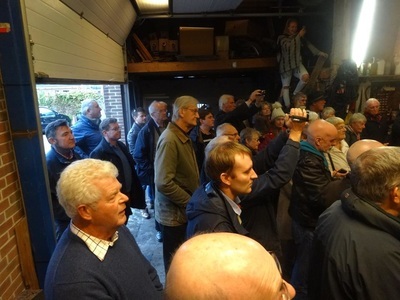 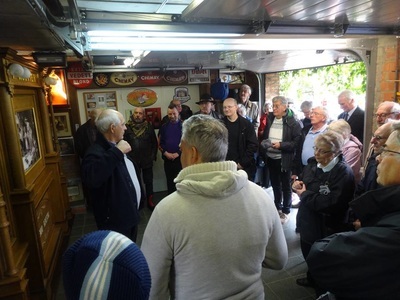 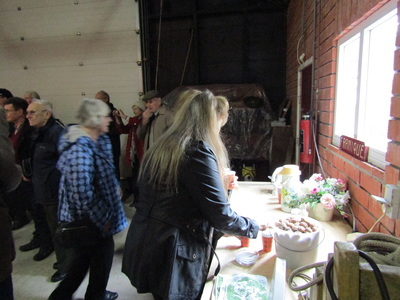 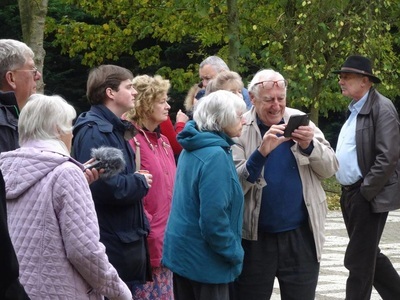 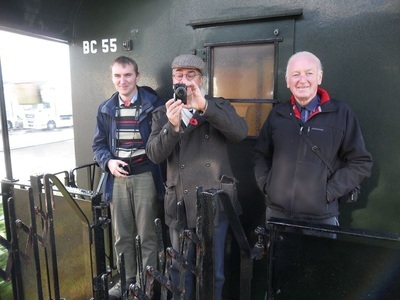 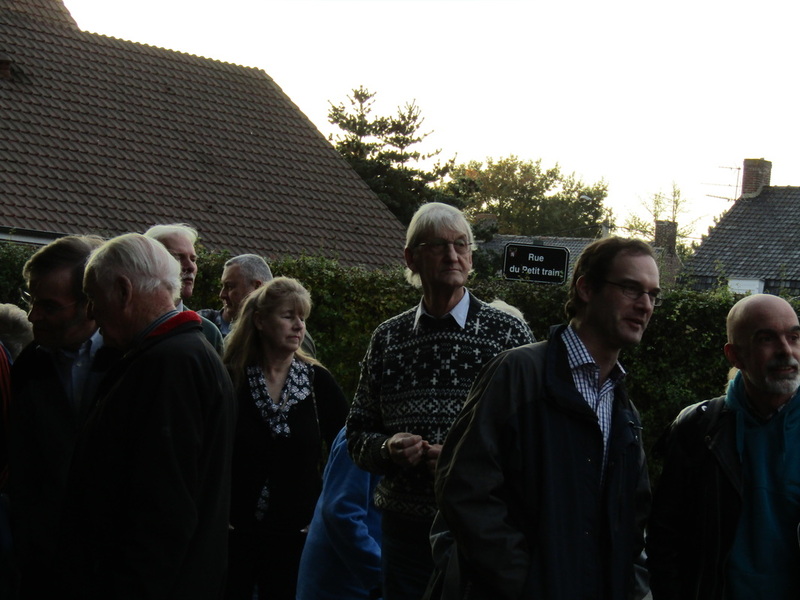 If you would like to join us on the next tour, email now for details. With thanks to Jonathon Ling and Alan Roberts for the photos published below. 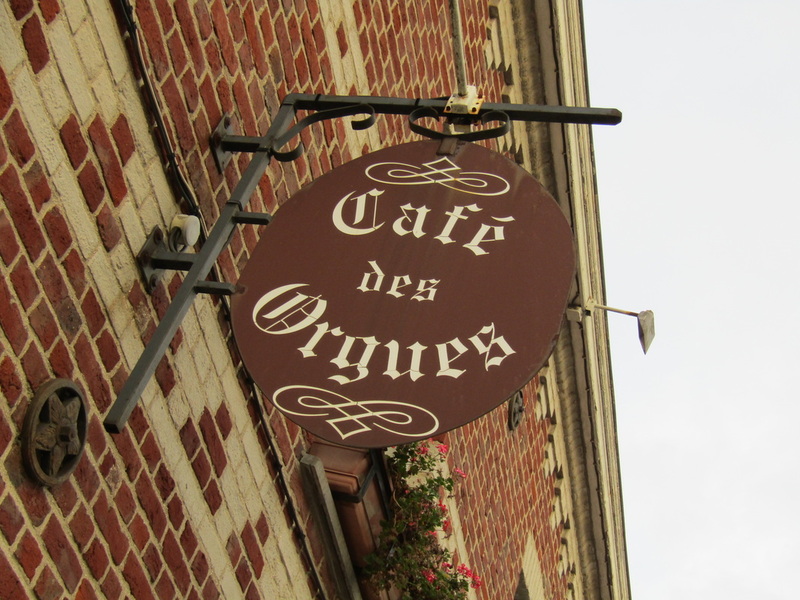 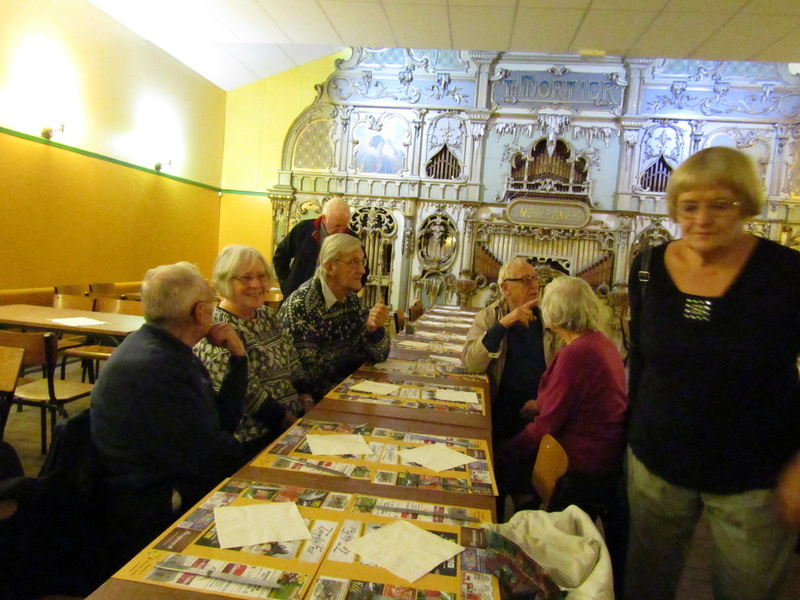 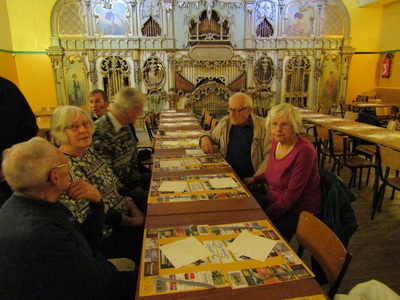 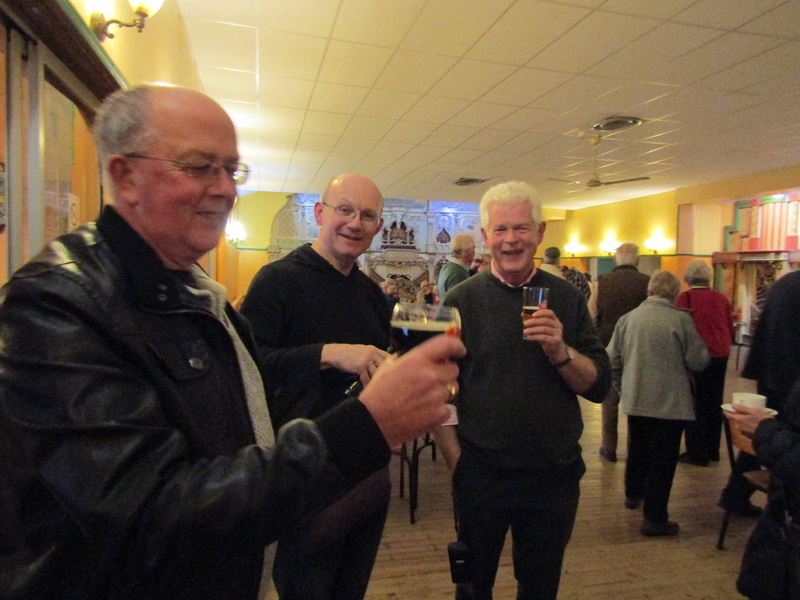 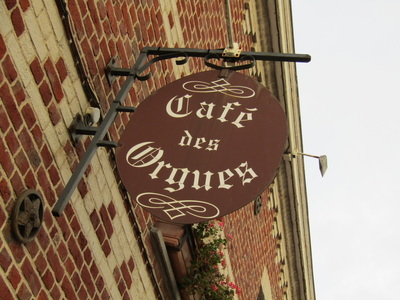 Our first stop was at the famous Café des Orgues at Herzeele. 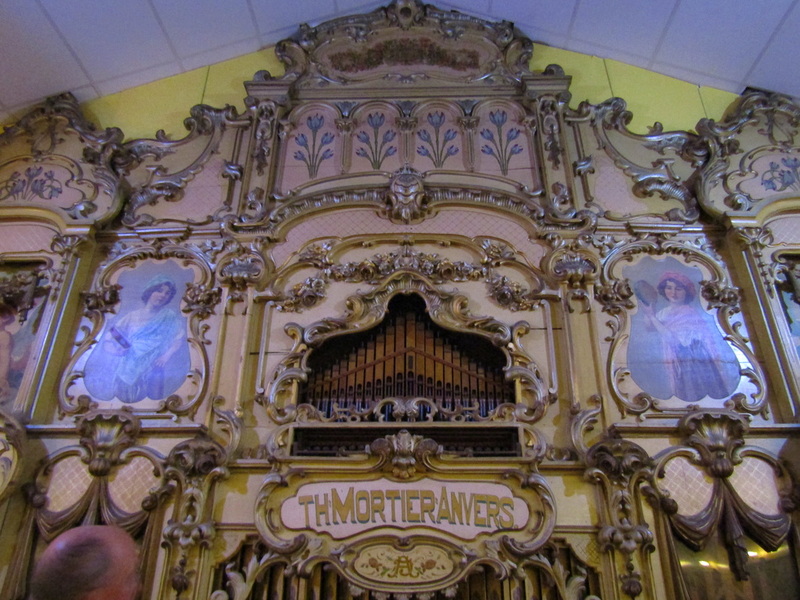 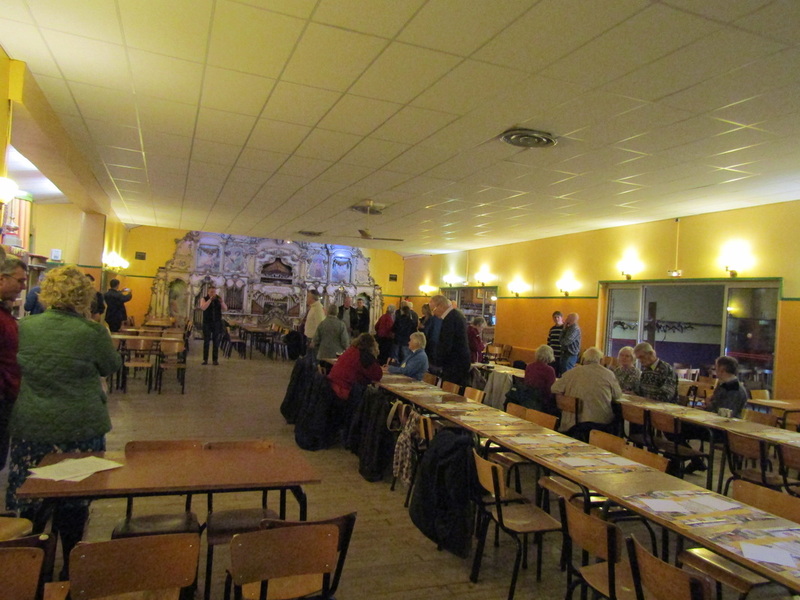 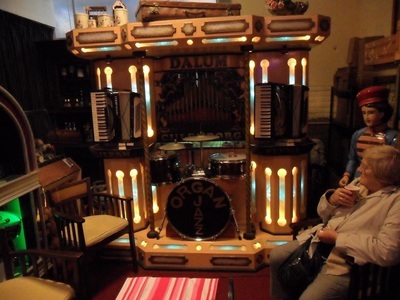 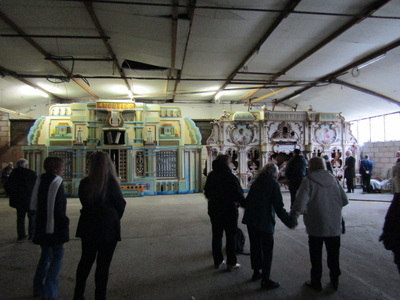 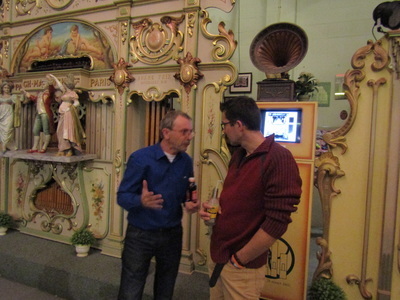 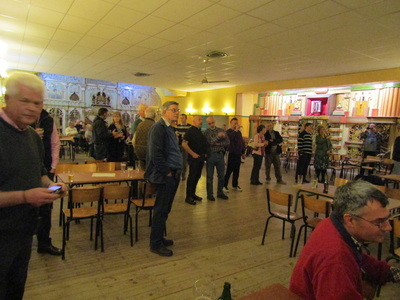 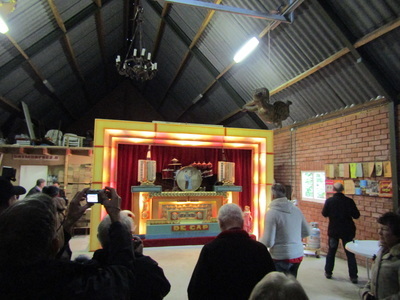 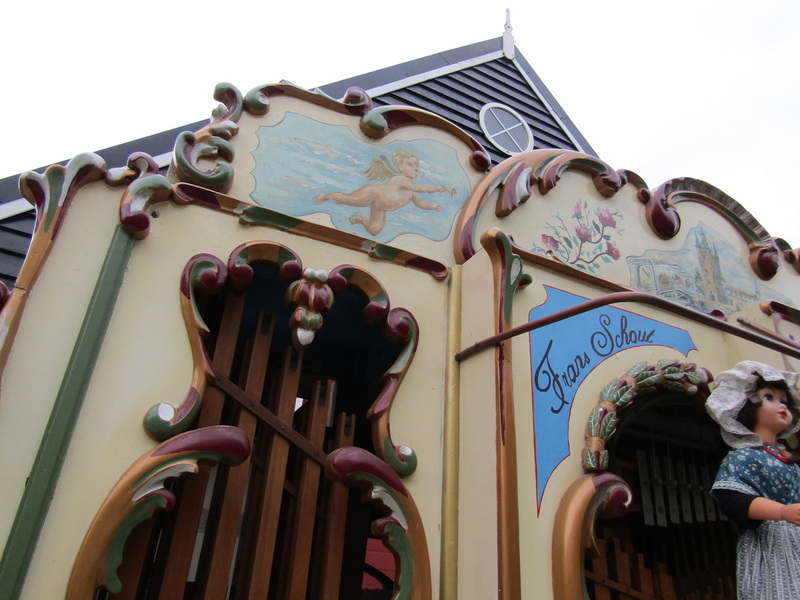 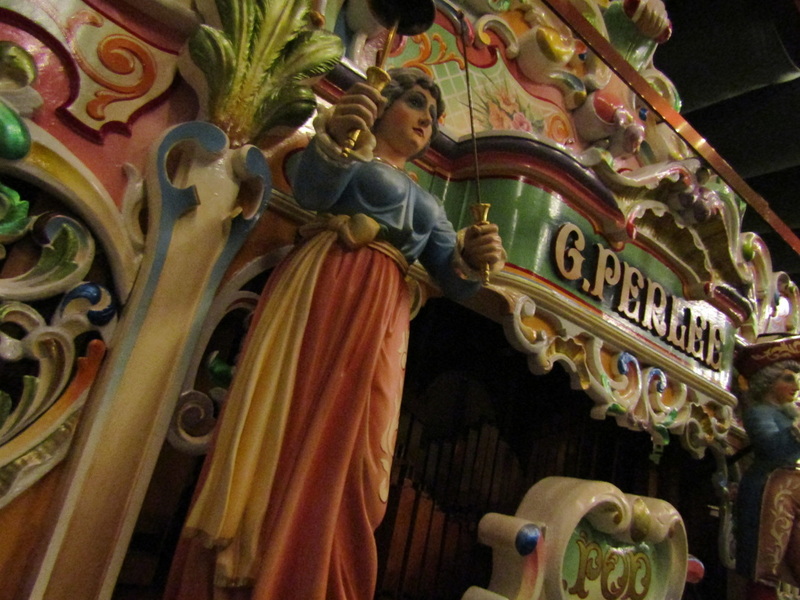 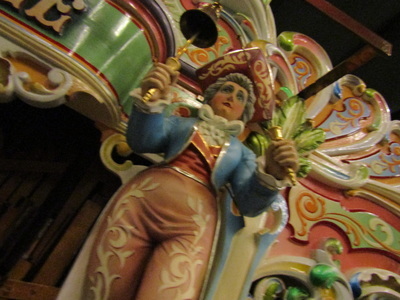 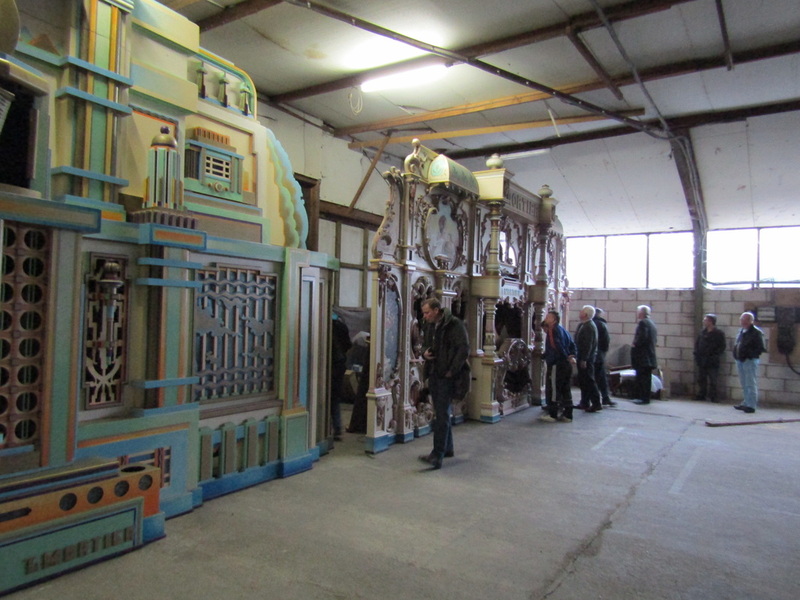 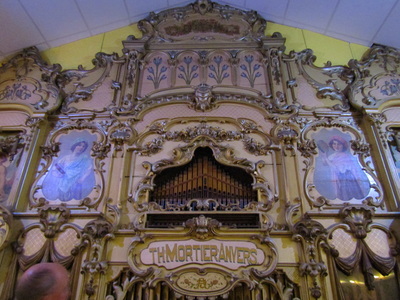 Here we enjoyed music from the three large Mortier organs which are located in a traditional dance hall setting. 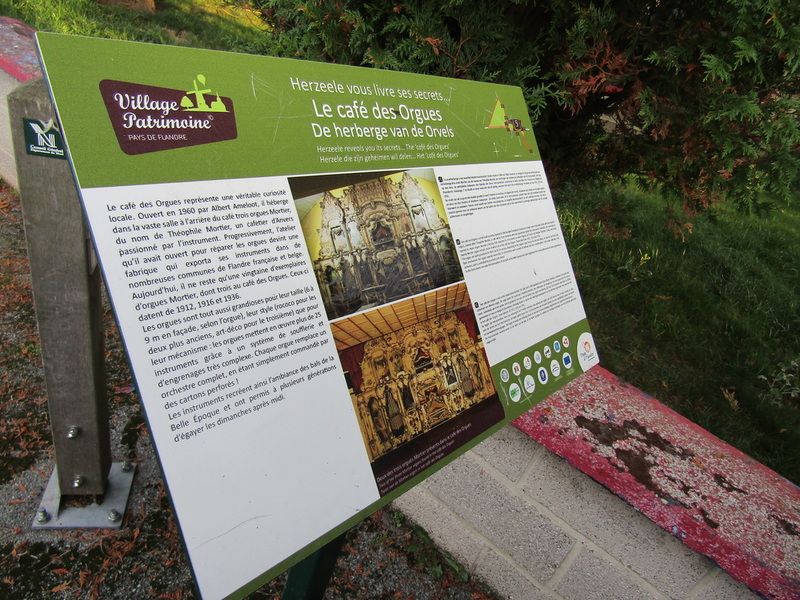 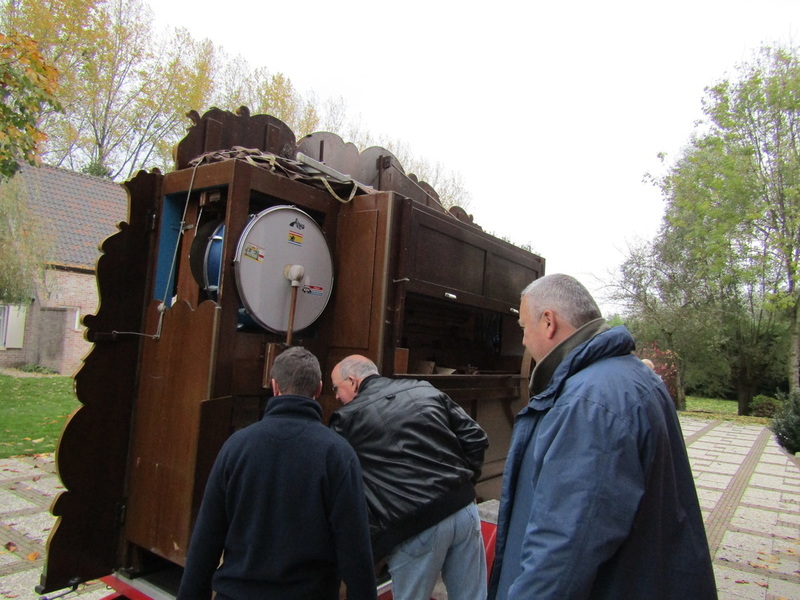 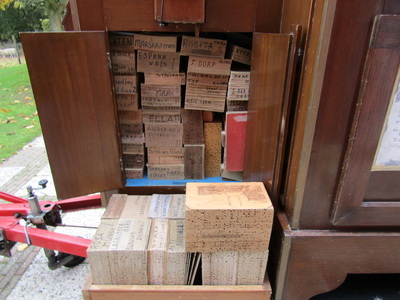 On the morning of the second day, we headed off the beaten track to find the first of our fabled organ sheds! 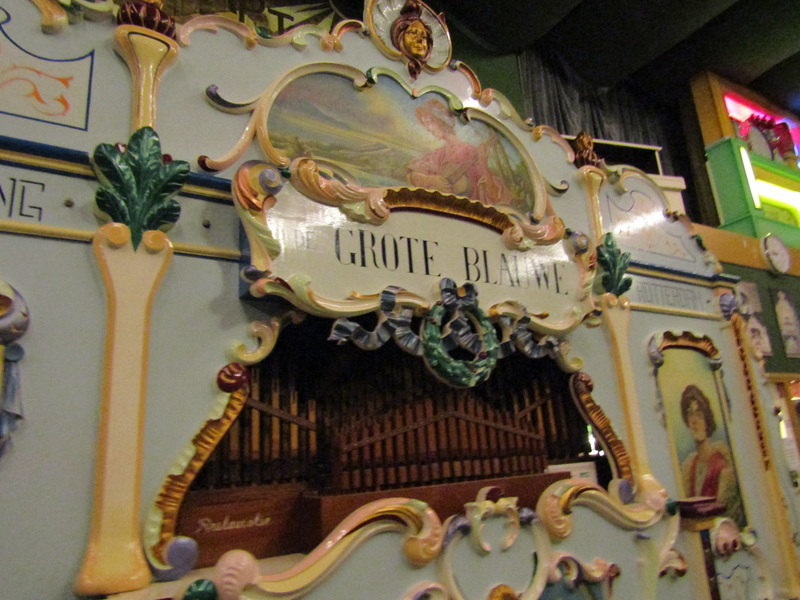 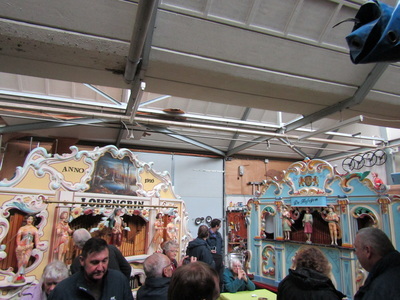 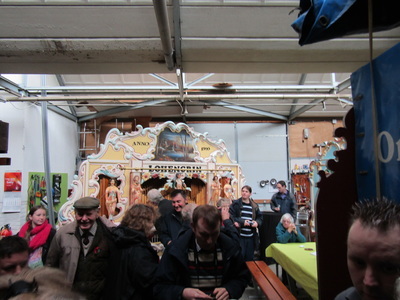 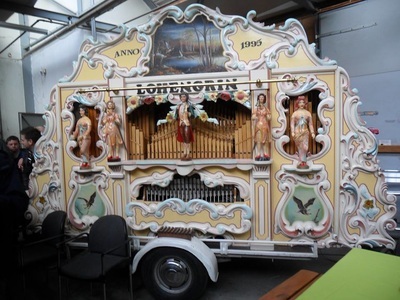 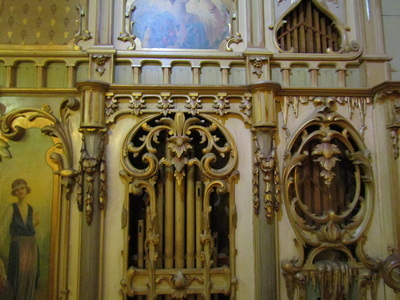 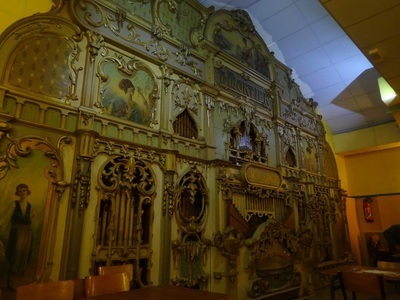 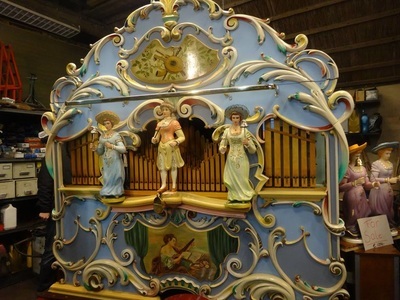 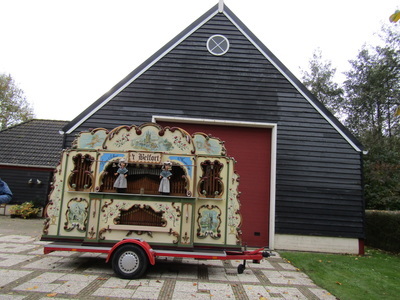 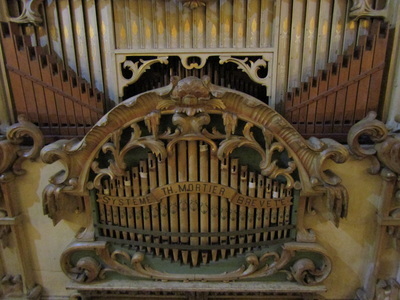 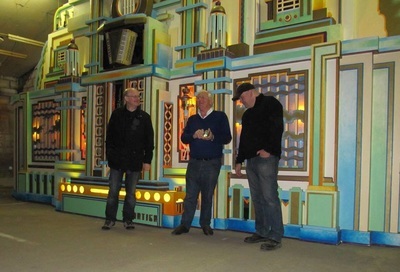 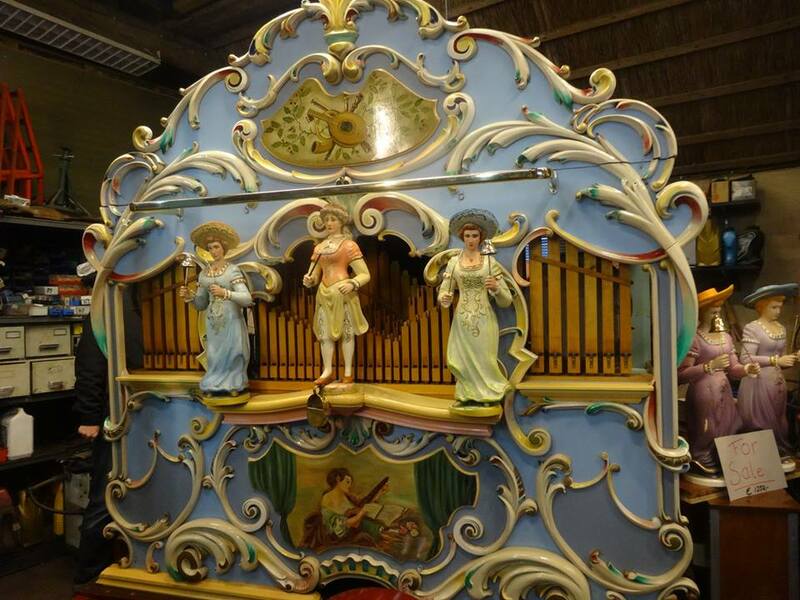 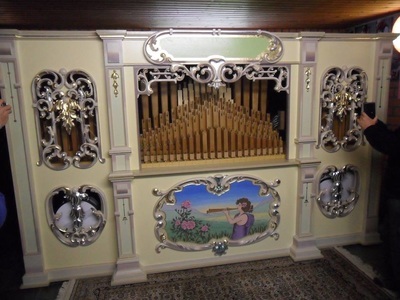 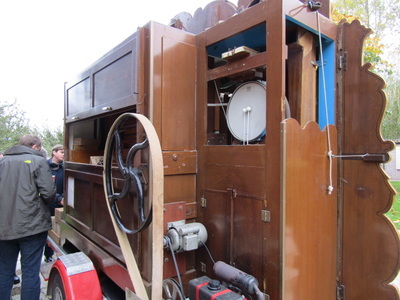 The collection of Frans Schout at Aardenburg, former owners of “Café Tramzicht” which featured a Mortier organ. 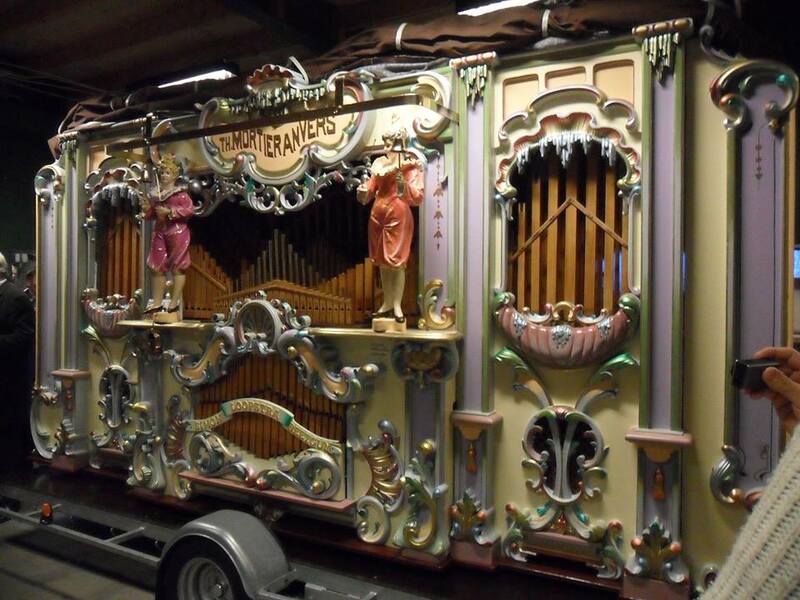 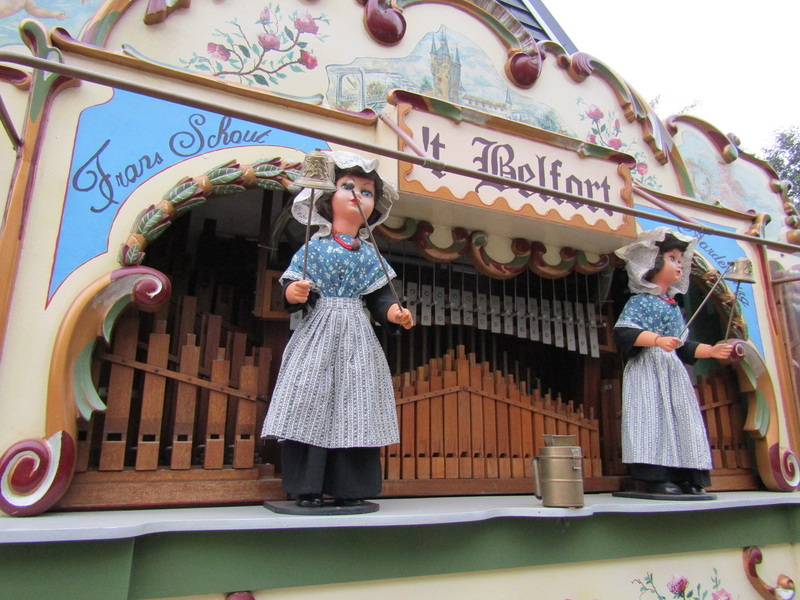 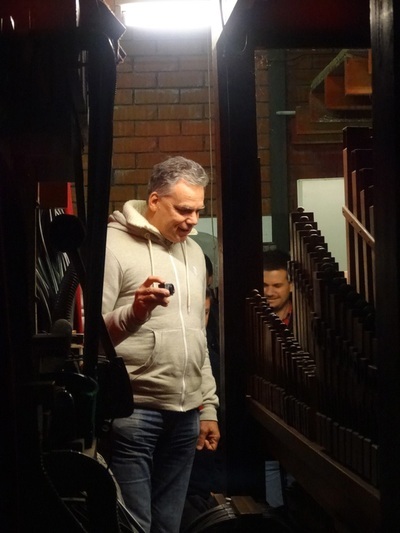 Today Frans owns both street and dance organs and has a particularly extensive repertoire of music. 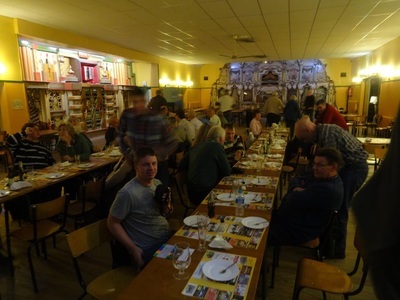 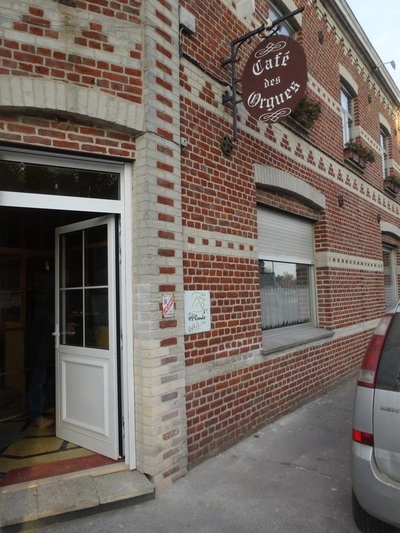 ​Lunchtime on the second day, we went to Belgium, heading eastwards to the home of Rene van de Cruz at Asse. 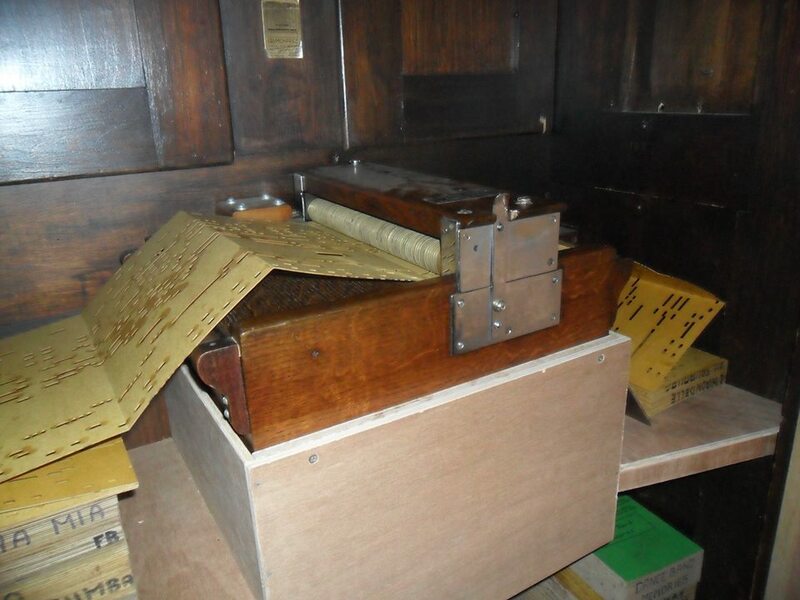 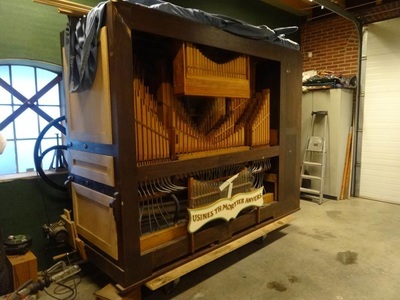 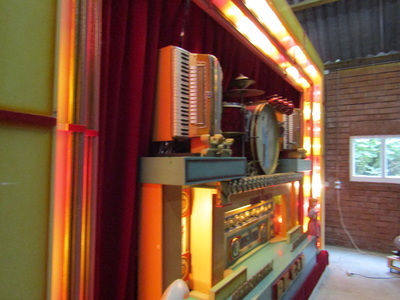 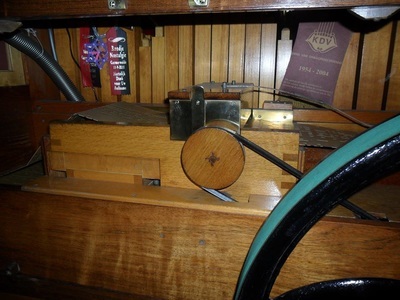 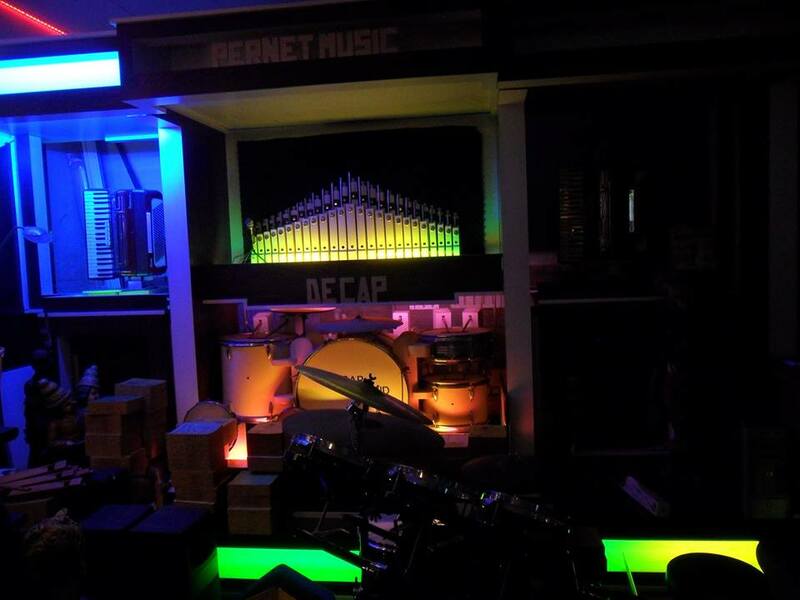 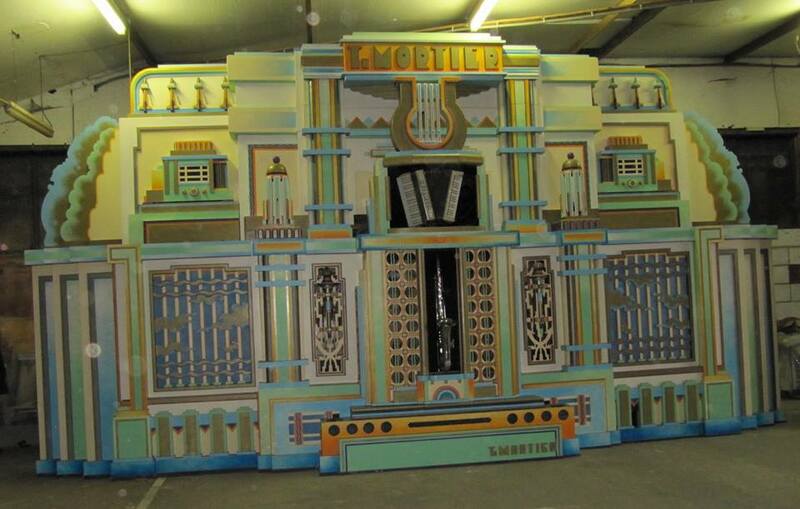 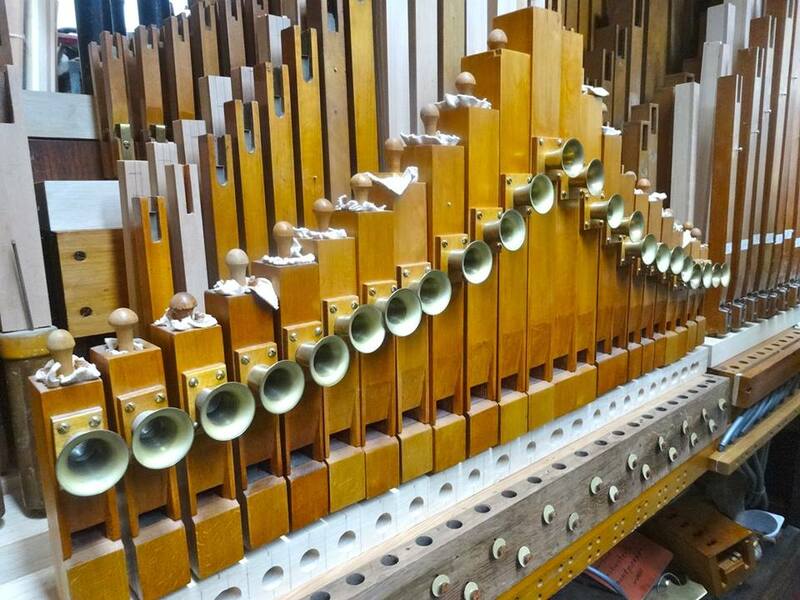 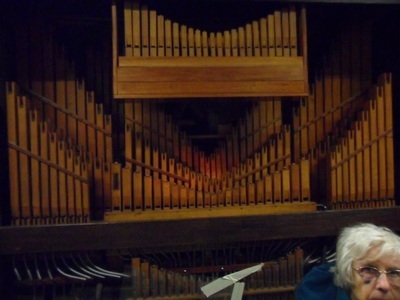 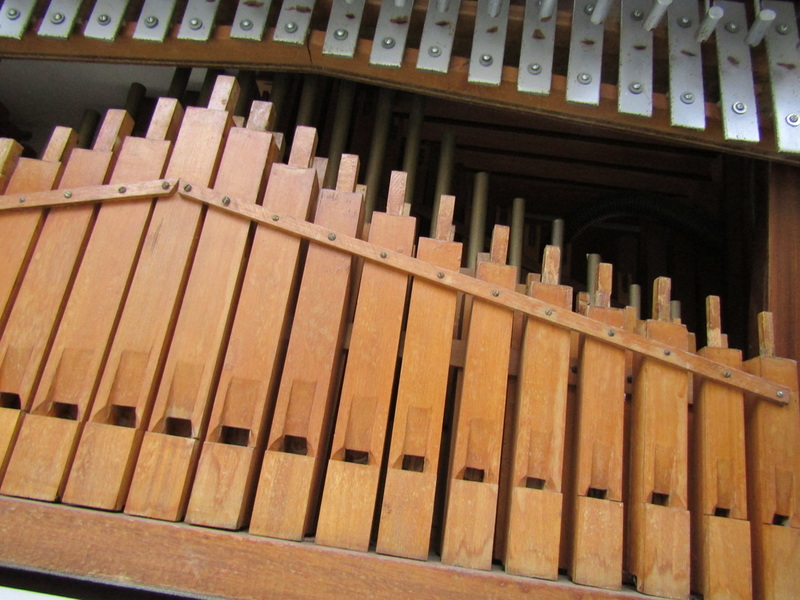 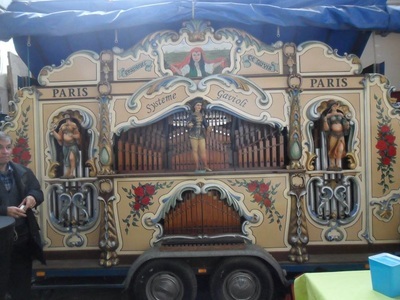 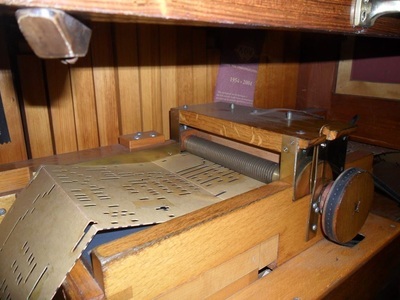 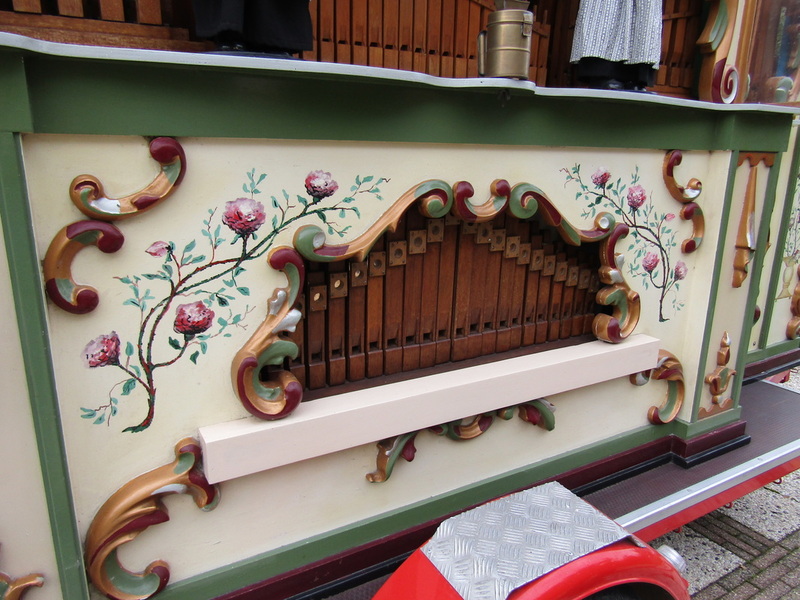 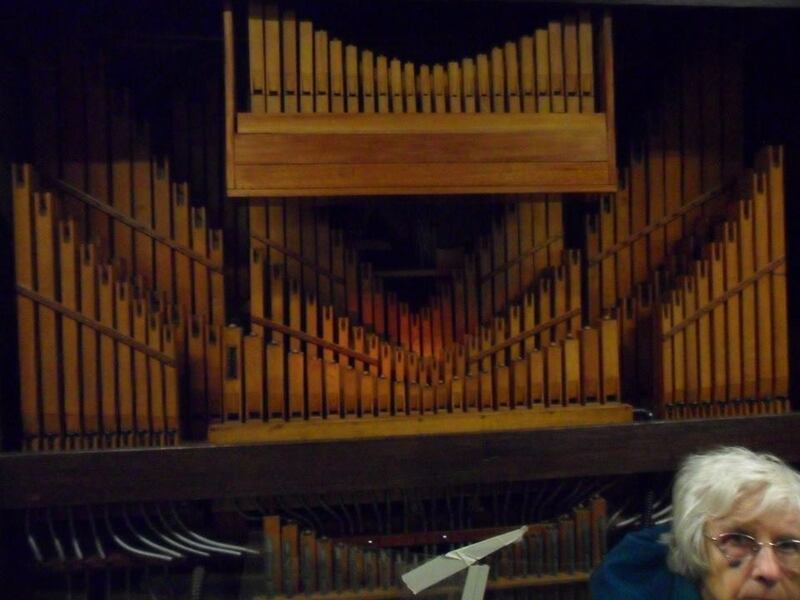 Rene has an incredible Mortier Orchestration, plus a very impressive Bursens replica Street Organ he has built. 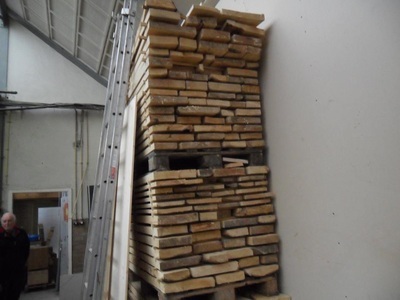 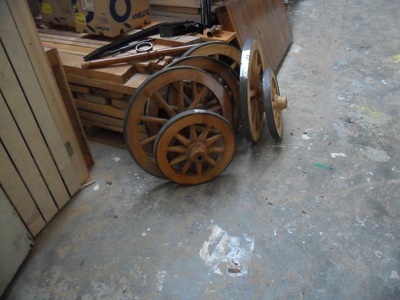 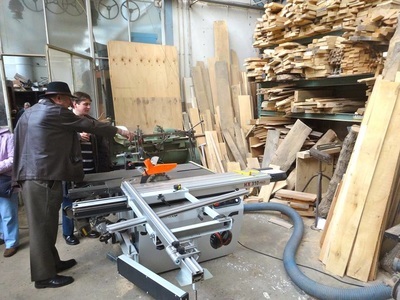 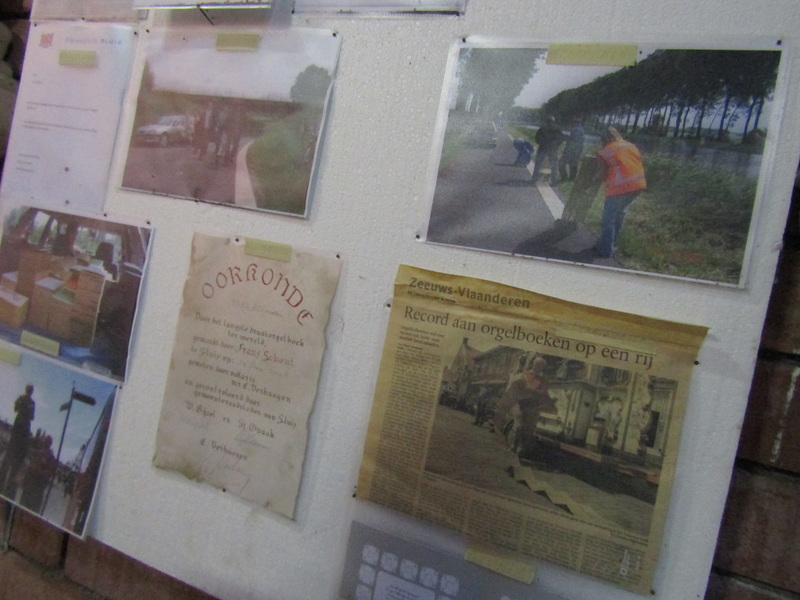 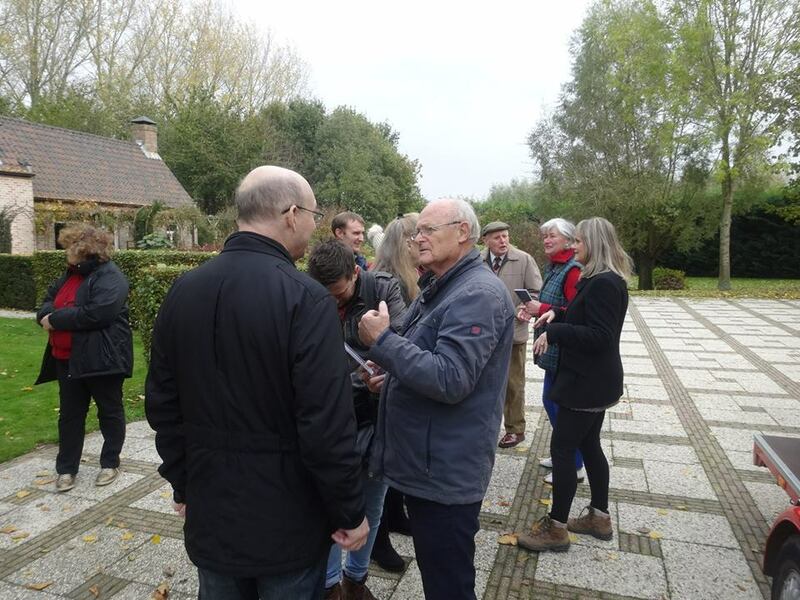 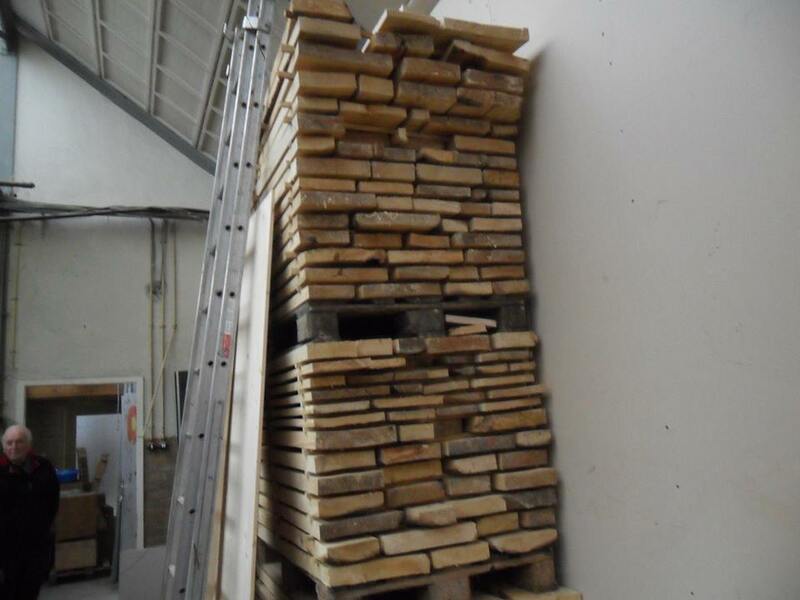 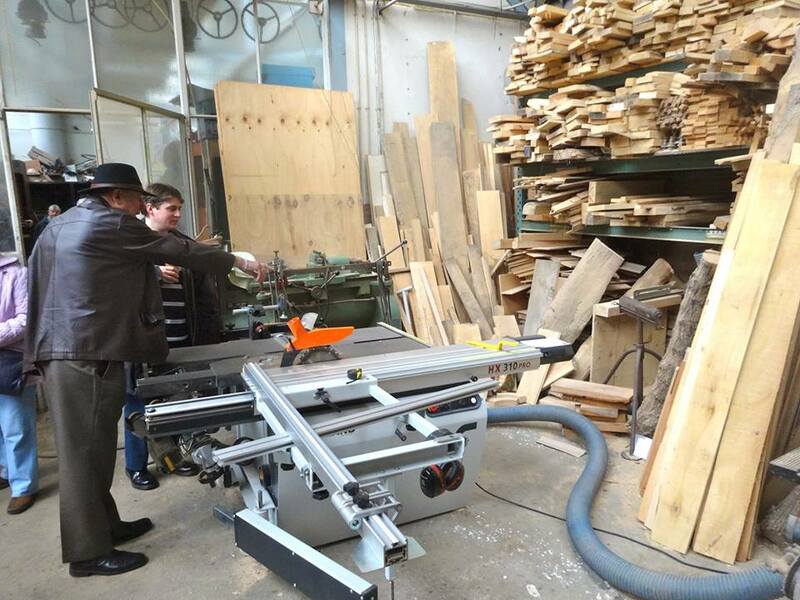 More surprises were in store as we visited the collection of Michel Gordelaine at Tessenderlo. 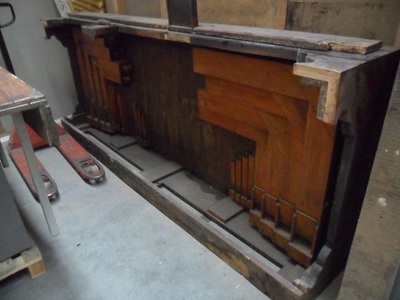 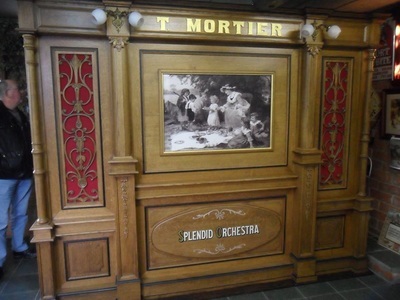 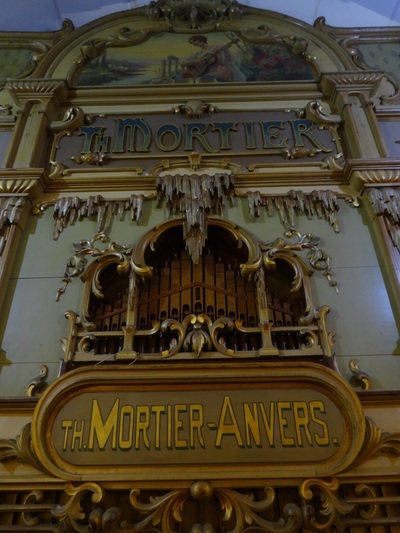 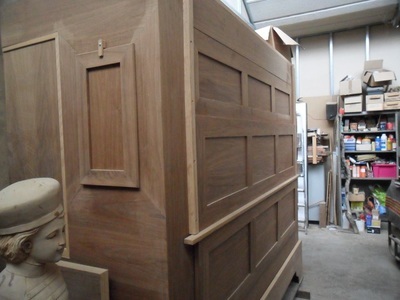 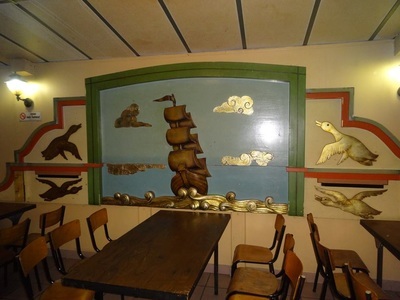 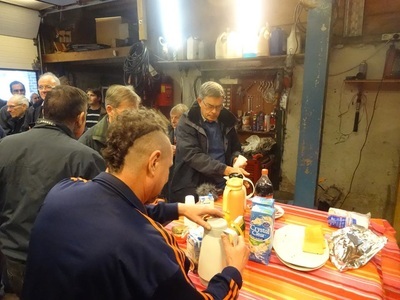 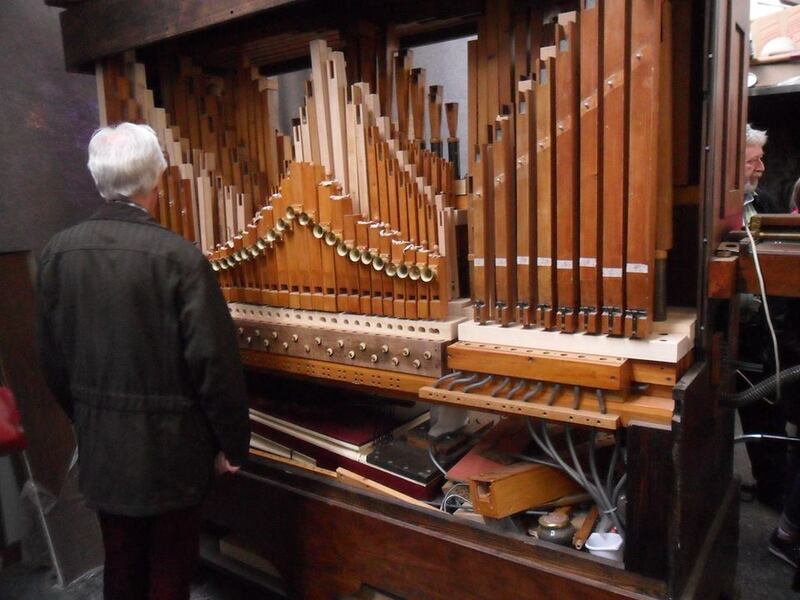 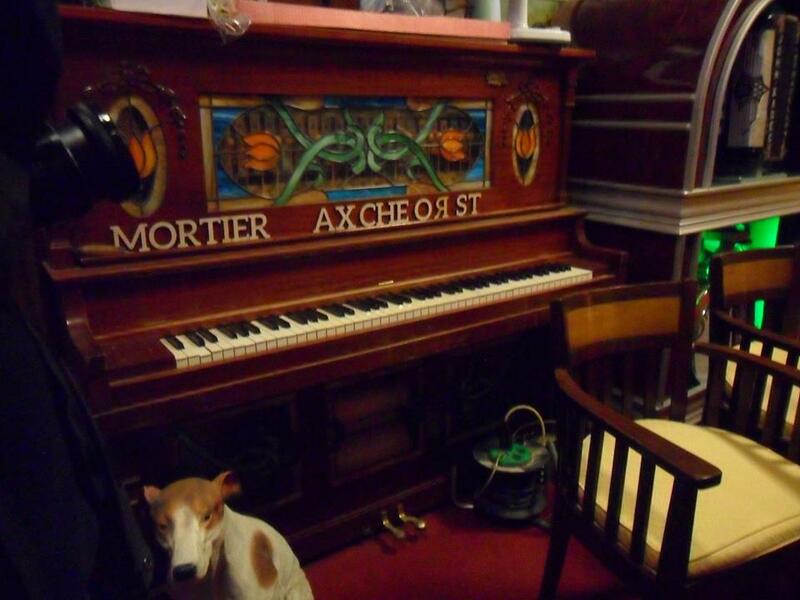 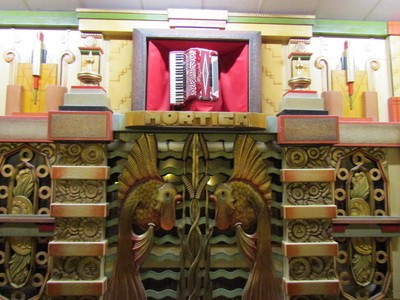 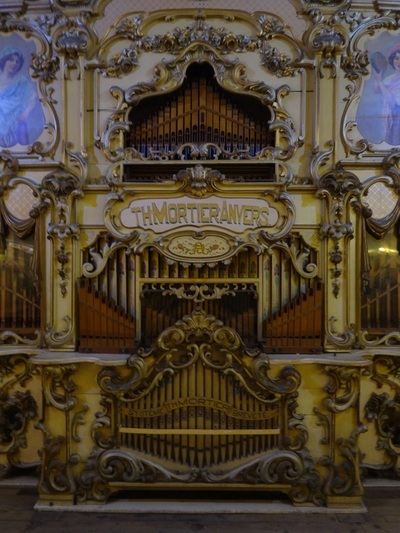 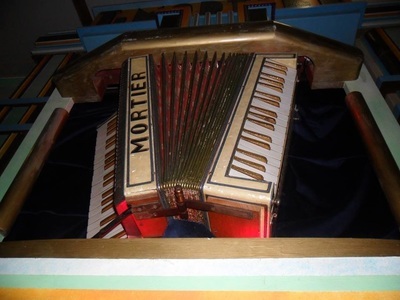 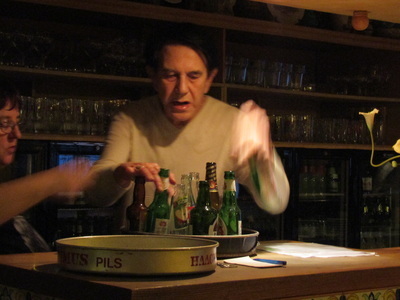 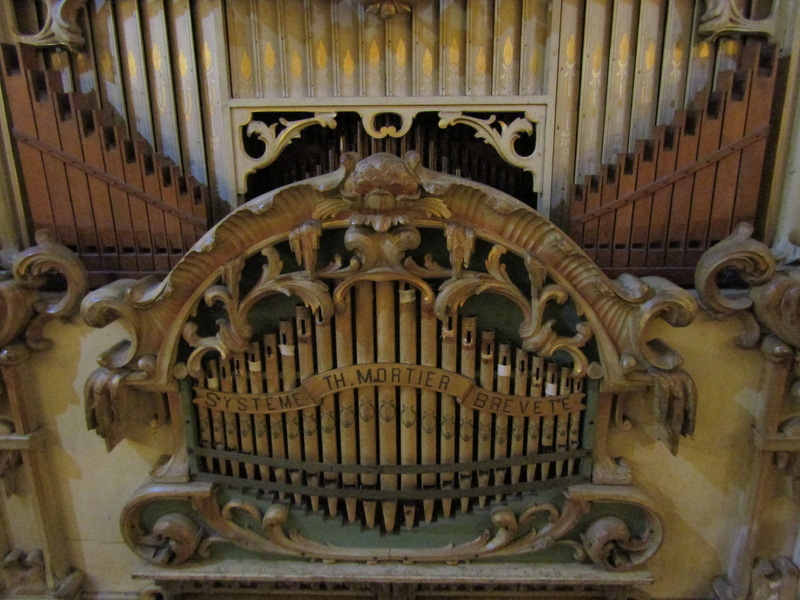 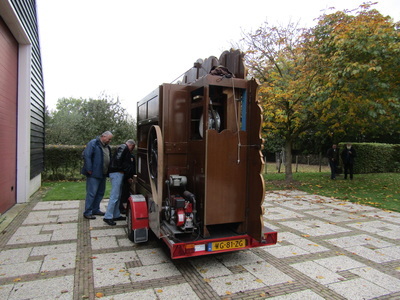 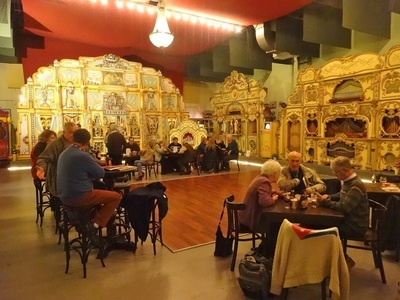 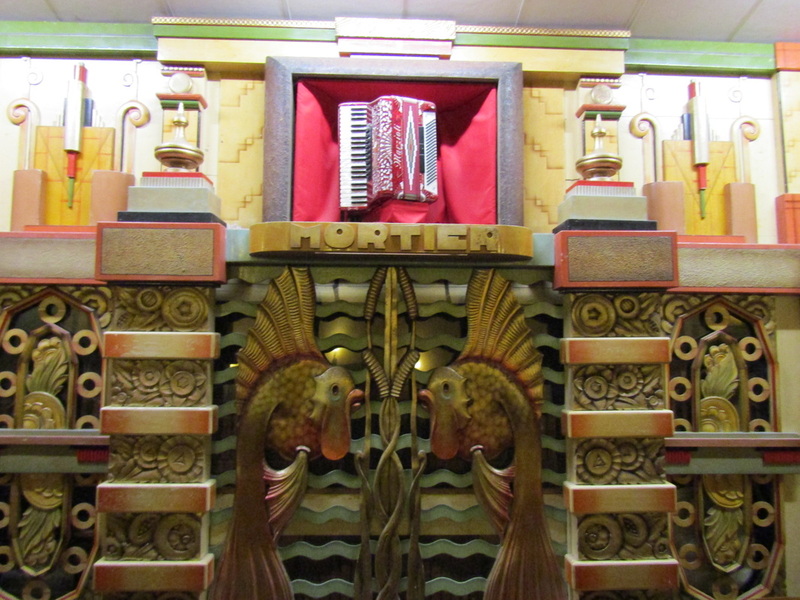 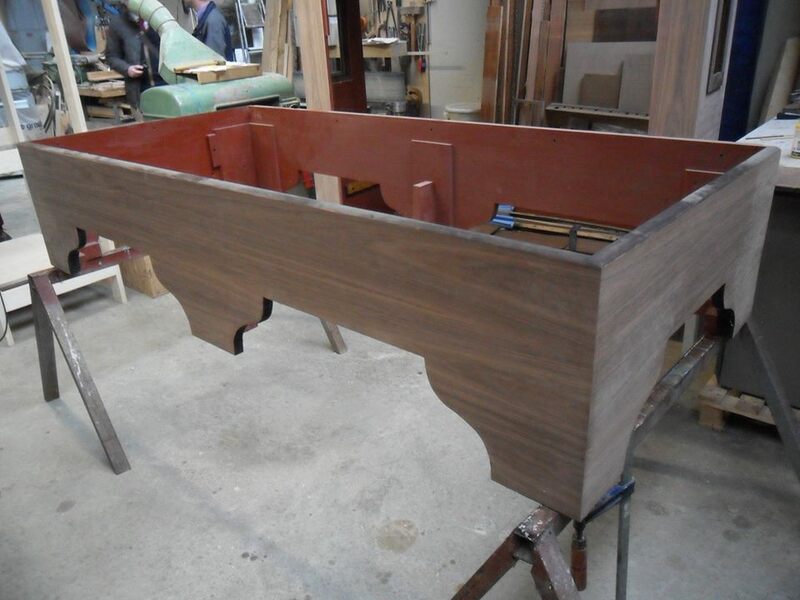 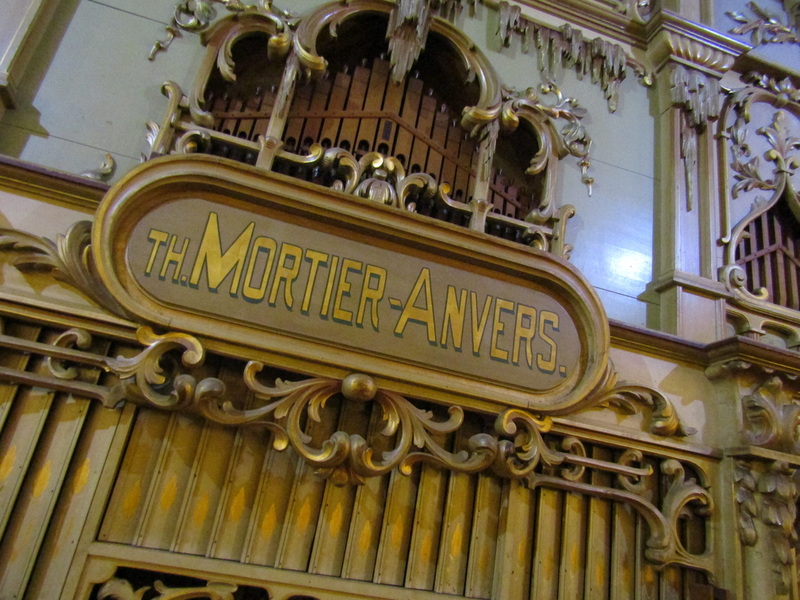 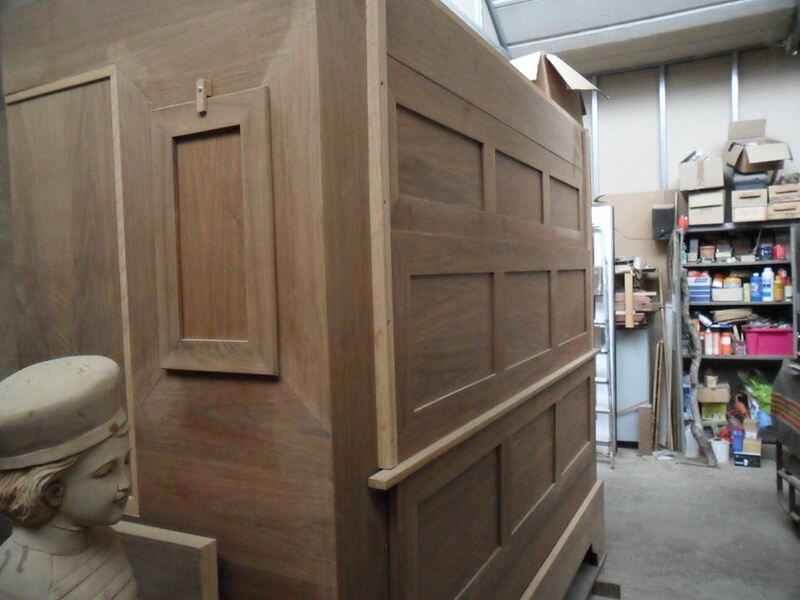 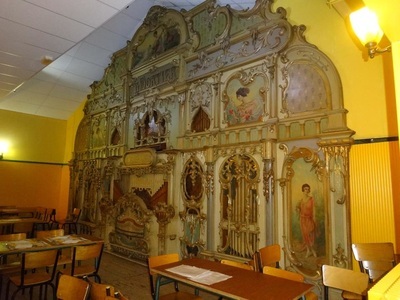 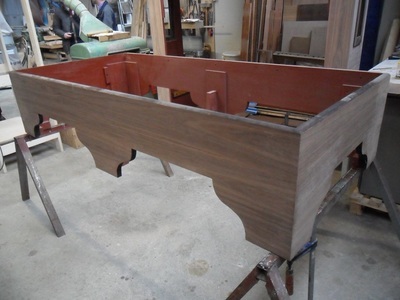 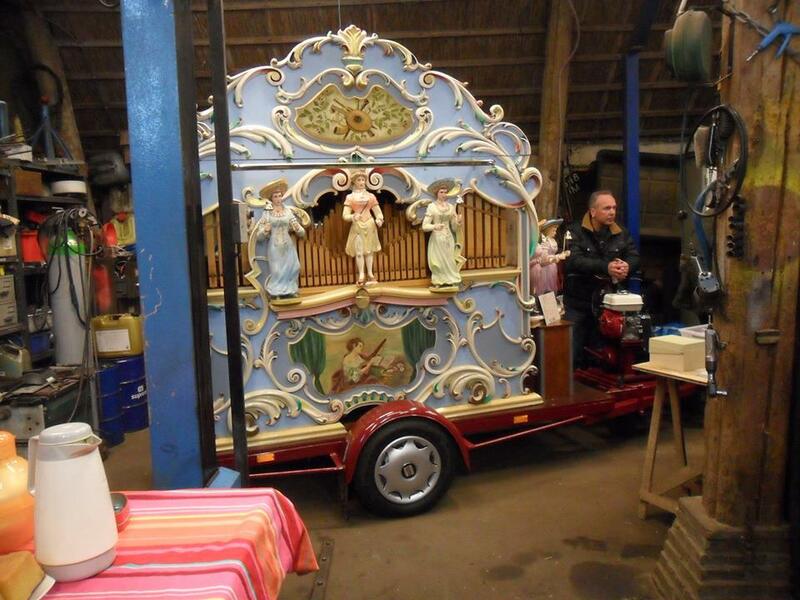 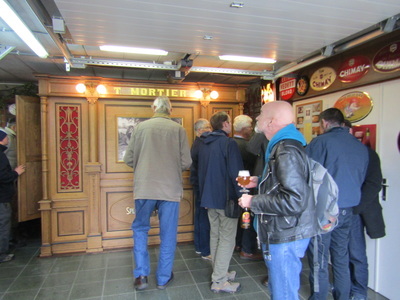 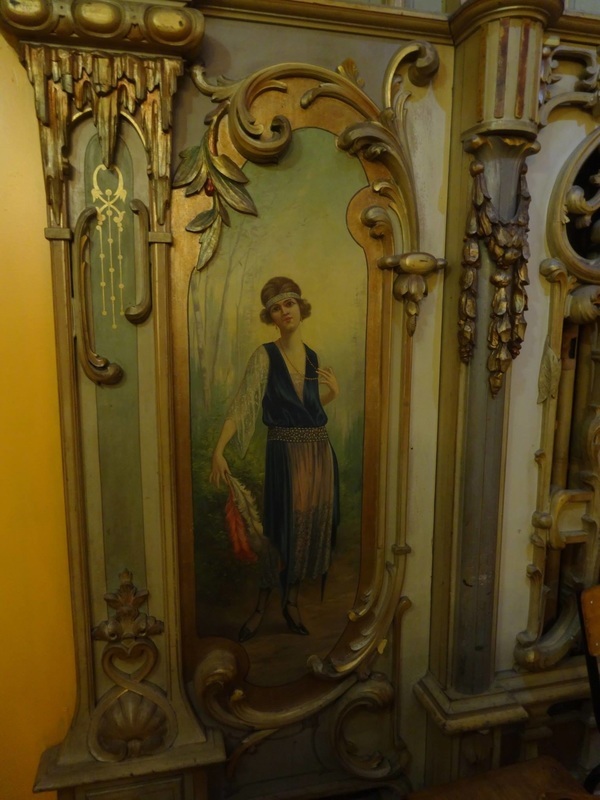 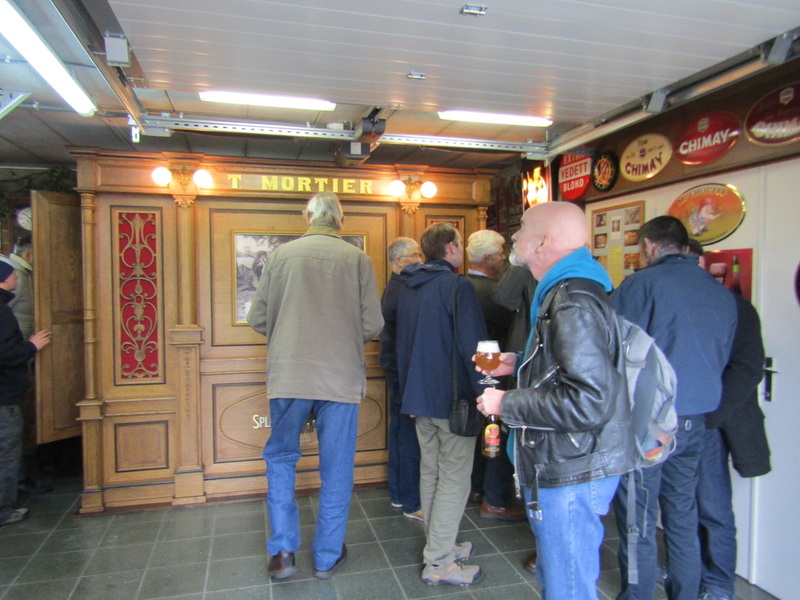 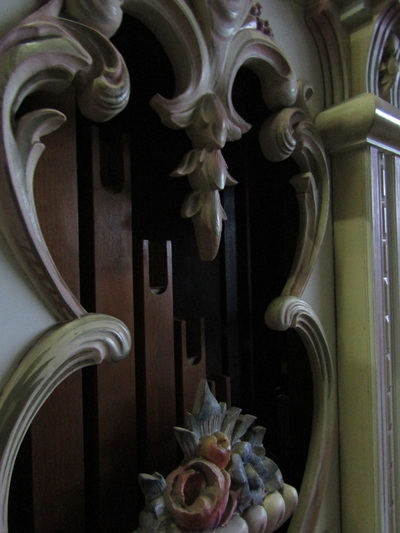 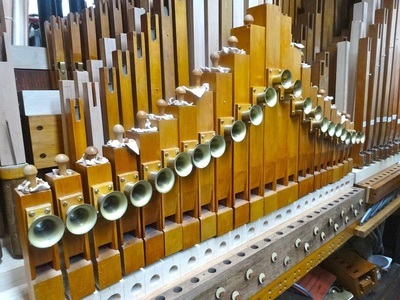 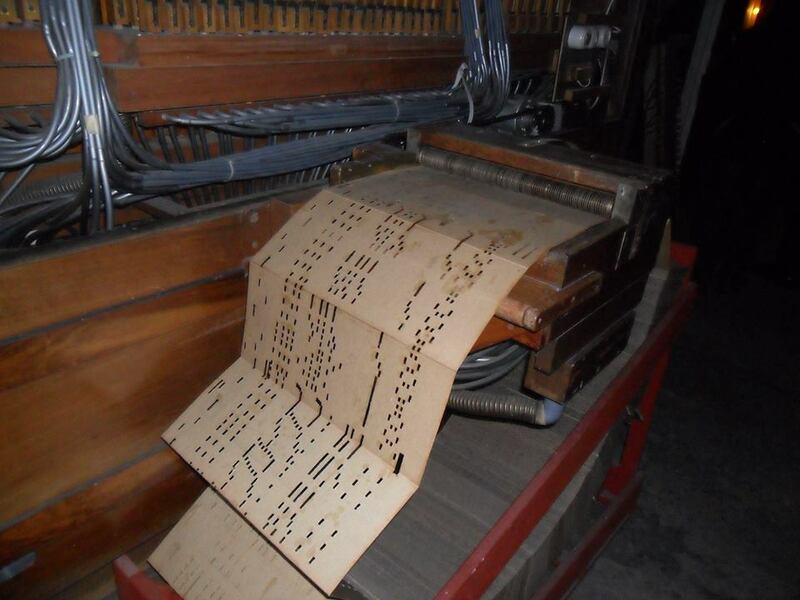 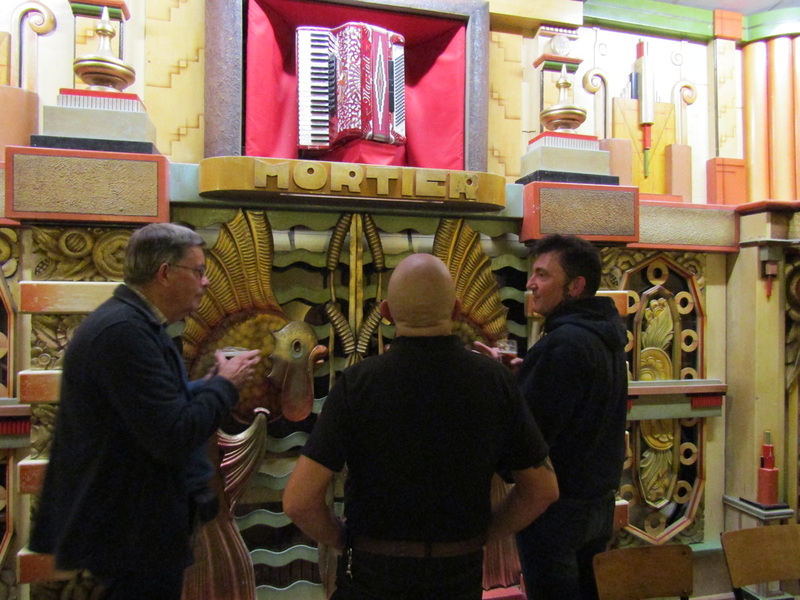 Michel, a former baker, has long owned two large but little known Mortier organs, one of which is that from the famous “Café Mortier”, which was the last of the traditional cafes on the old Antwerp to Breda road to feature a pipe organ. 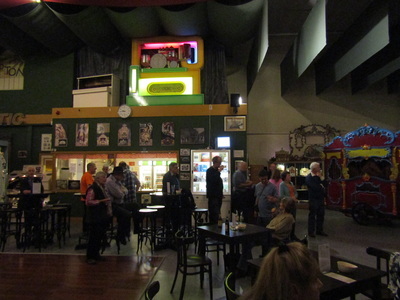 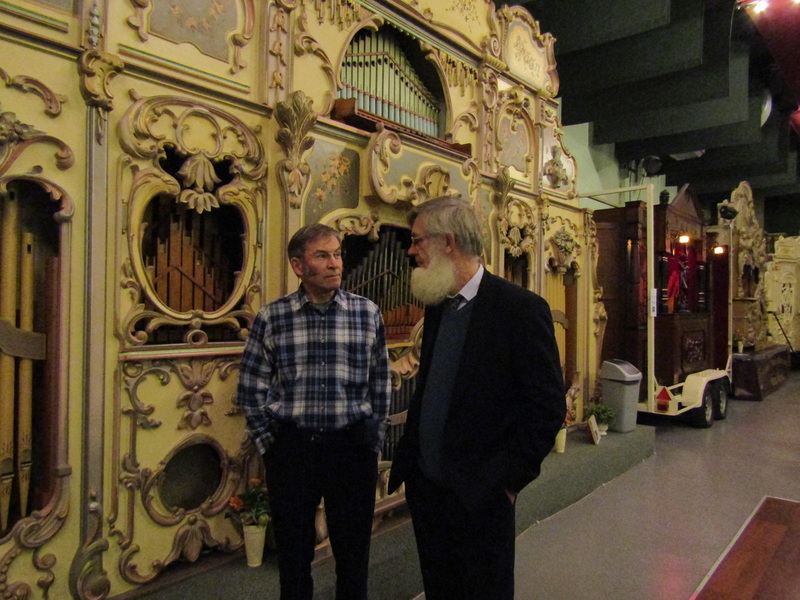 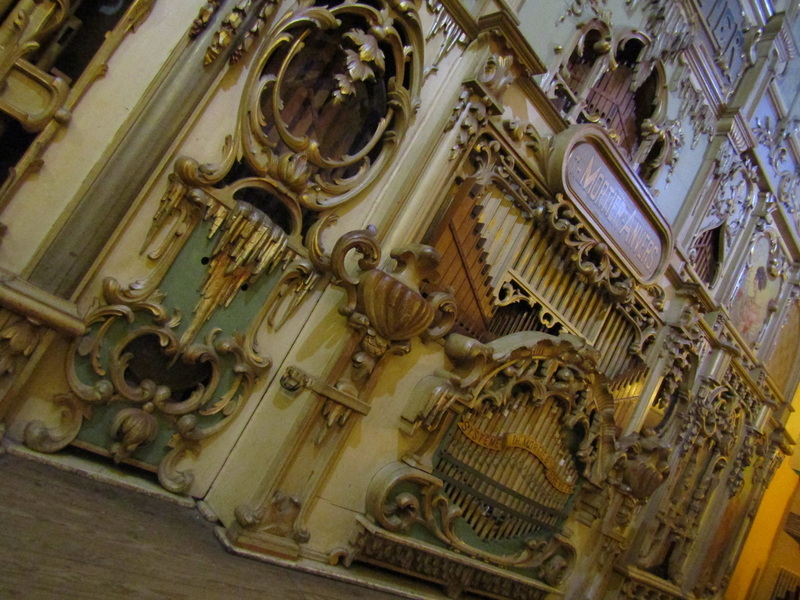 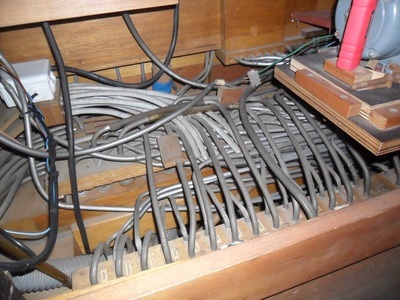 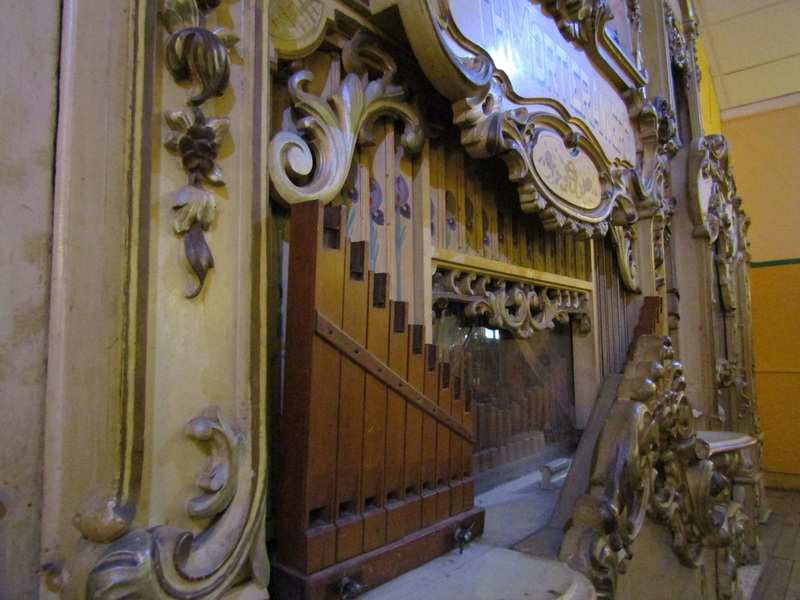 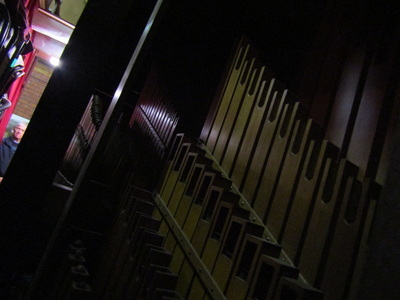 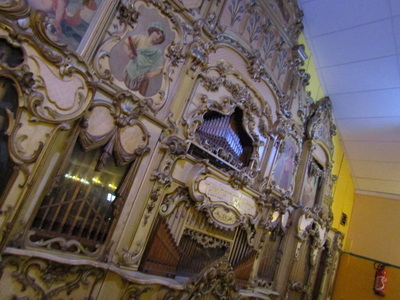 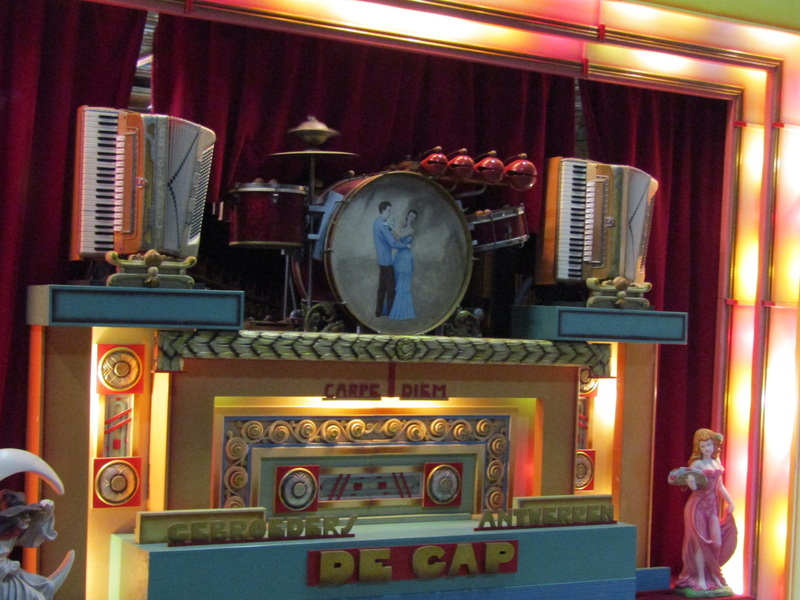 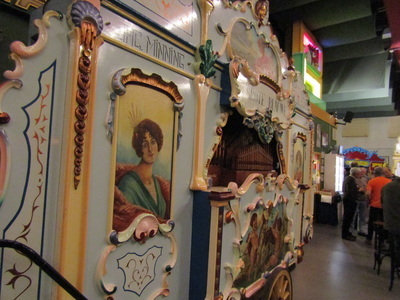 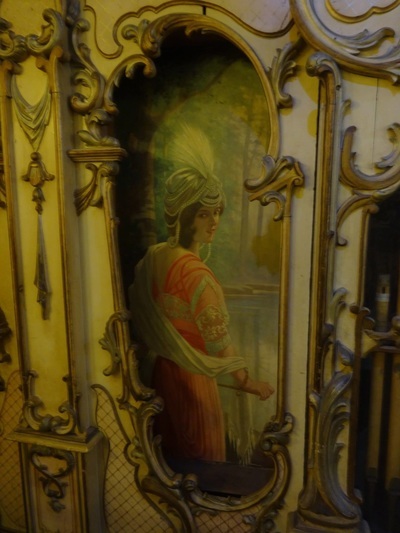 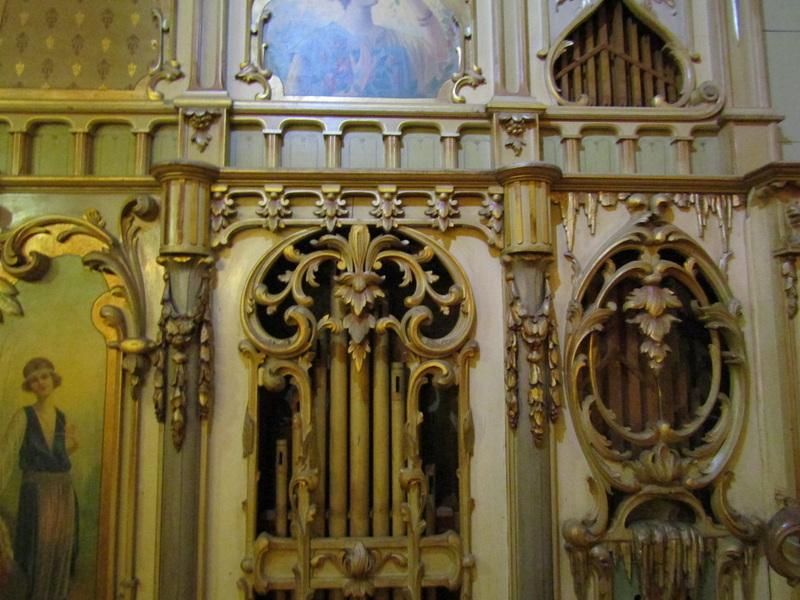 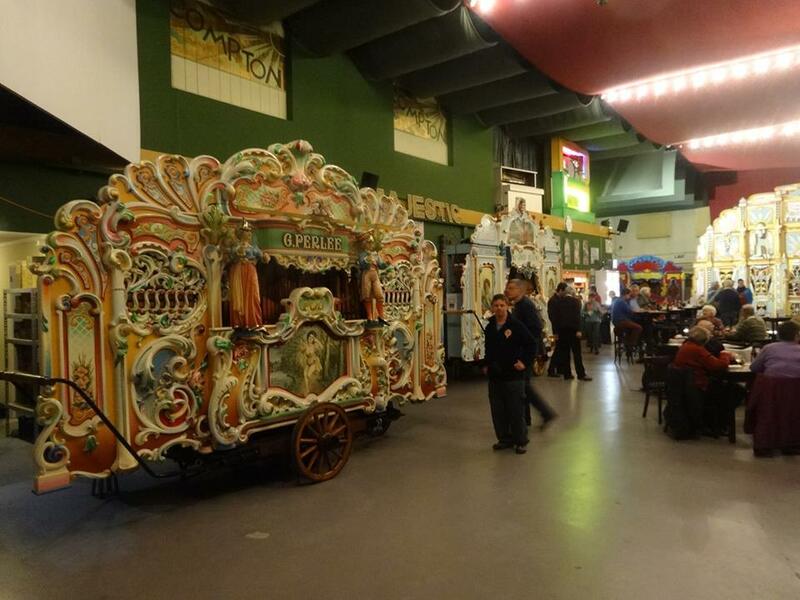 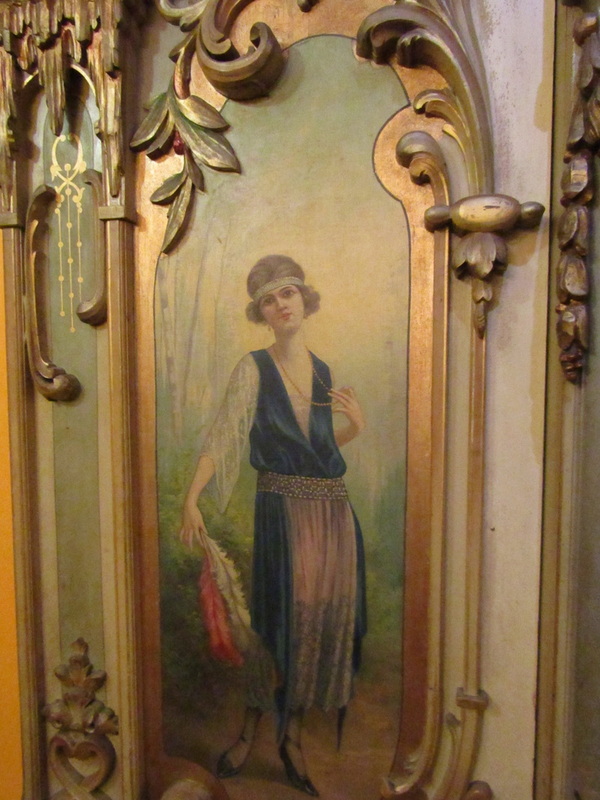 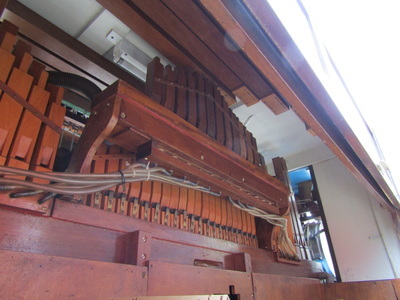 Since the café closed, some thirty years ago, since when the organ has gone virtually unseen. 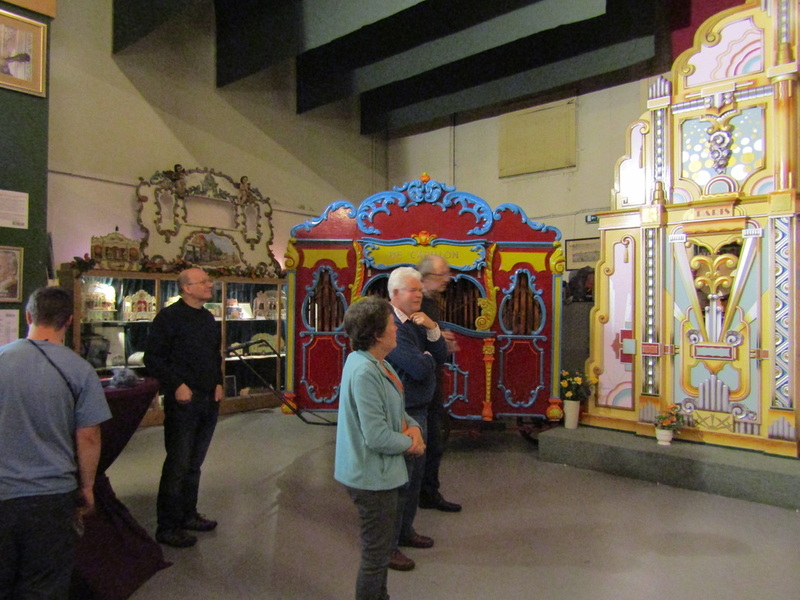 We did something a little different in the morning at the City of Hoorn. 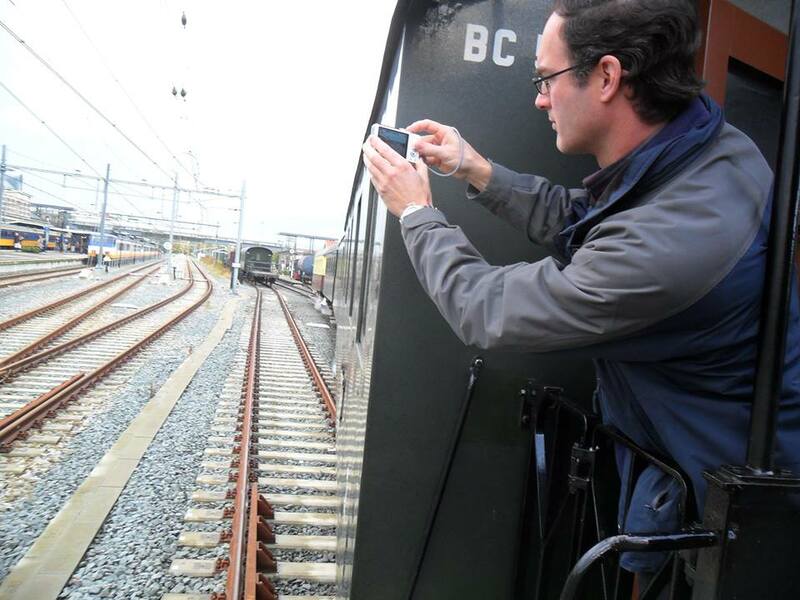 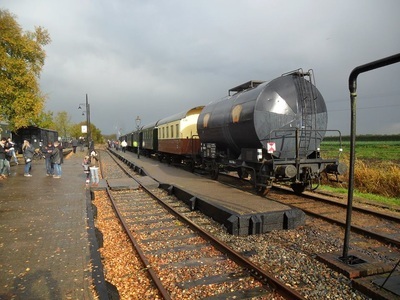 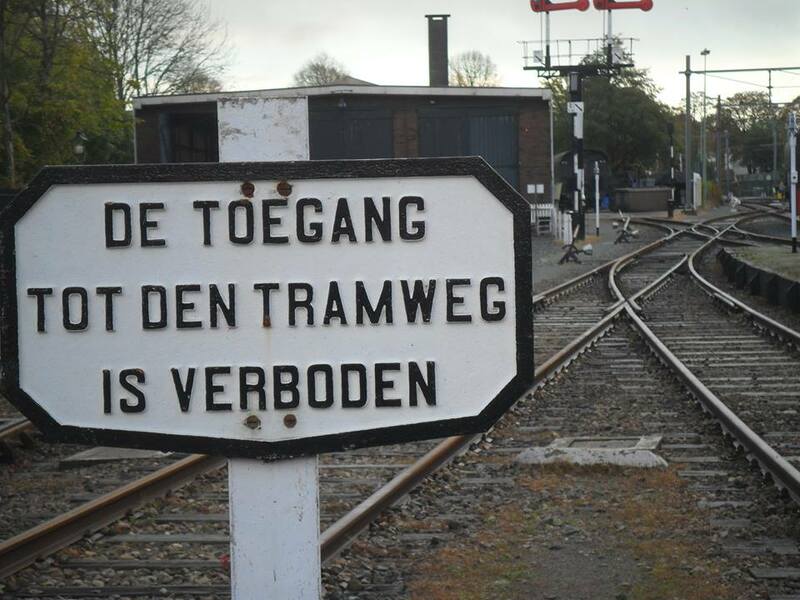 Here we joined our vintage wooden seated carriages to make a leisurely journey of 20 kilometres from Hoorn to Medemblik by steam train. 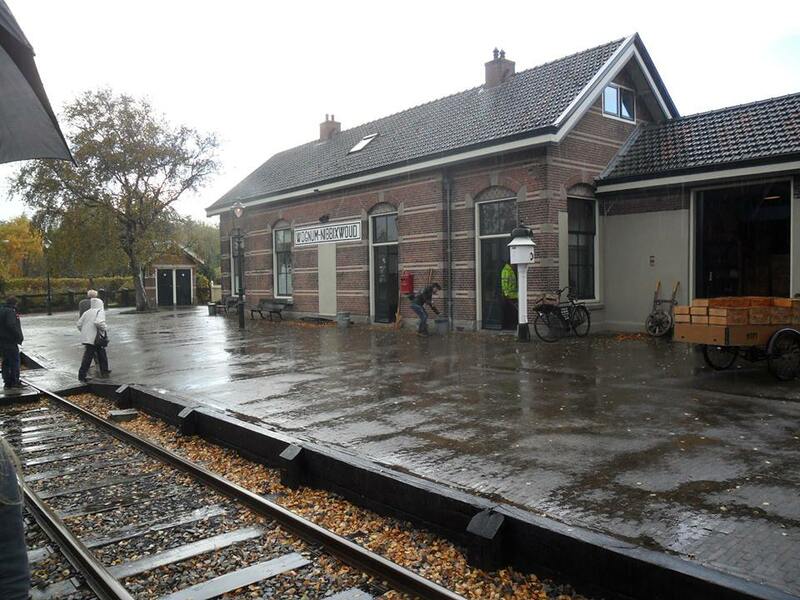 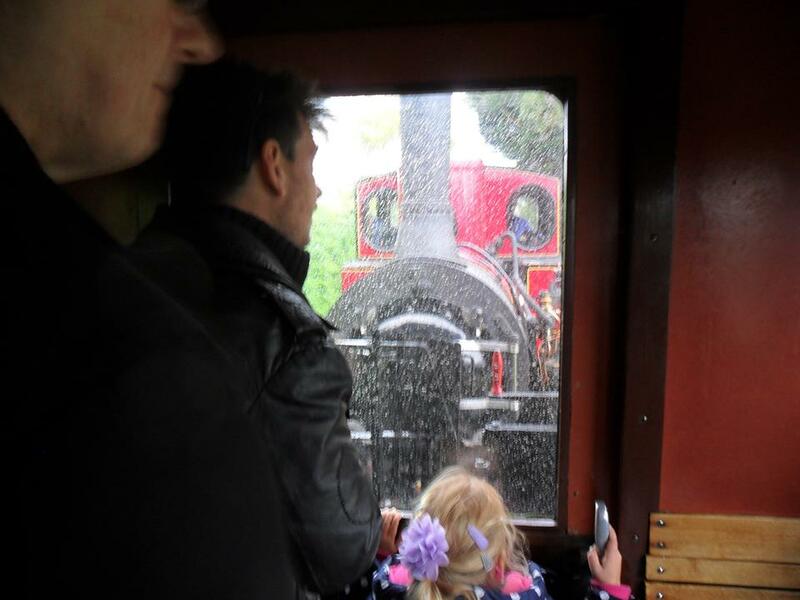 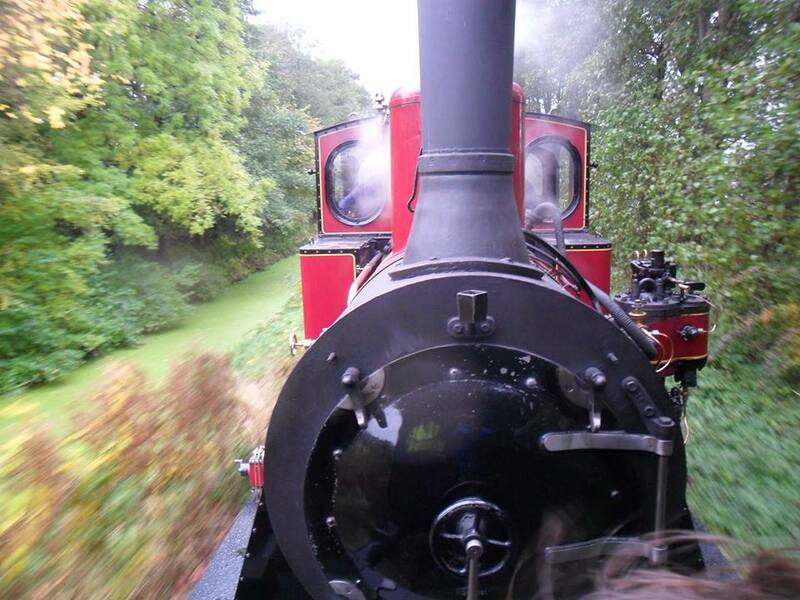 We will traveled through a rural landscape, stopping occasionally at perfectly preserved country stations. 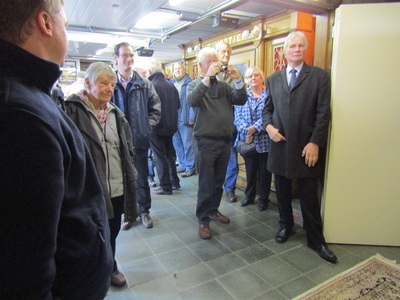 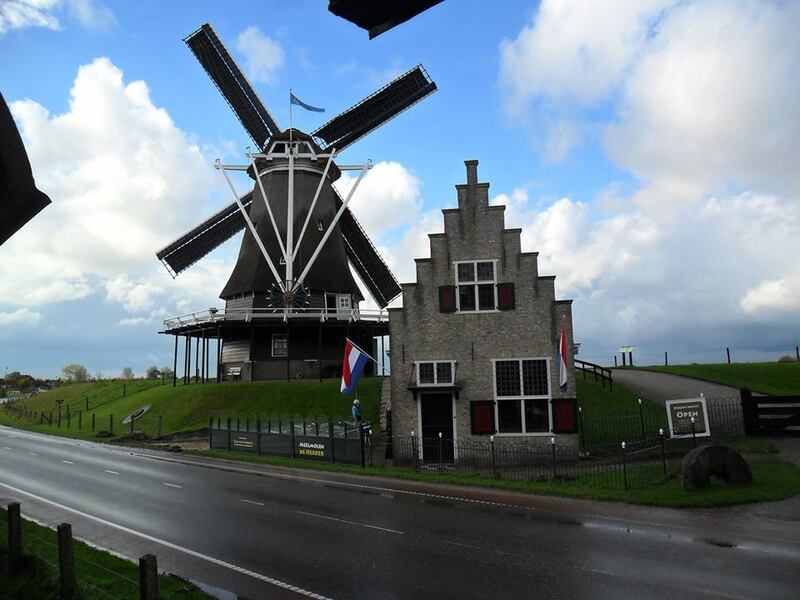 Our coach then took us further north into Friesland, to visit the collection of Simon Loopstra at Beetgum. 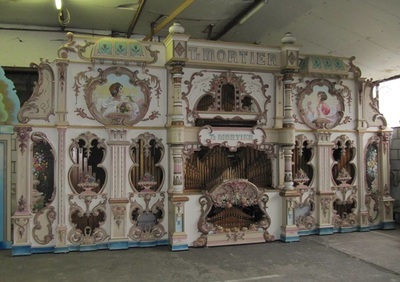 Here we will meet an organ that was once familiar to all on the rally fields of Britain; Dennis Chappel's Golden Mortier. 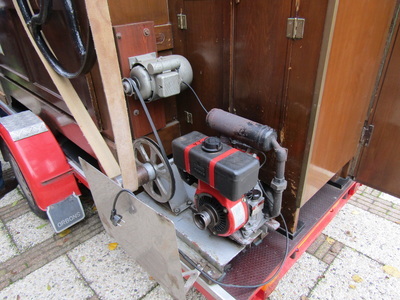 We were also blown away by a superb early Mortier converted for use on the street which Simon acquired and restored after many years of use in Sweden. 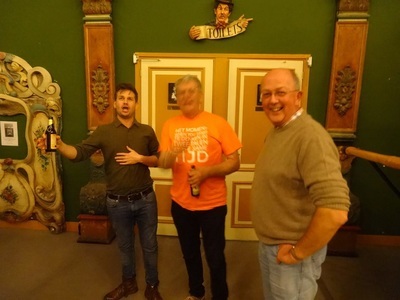 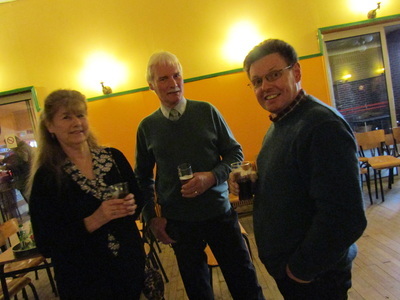 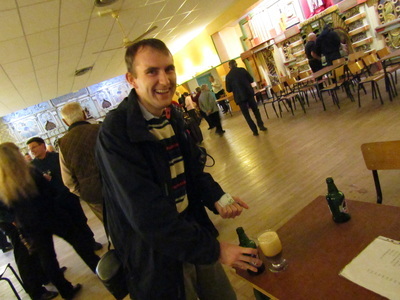 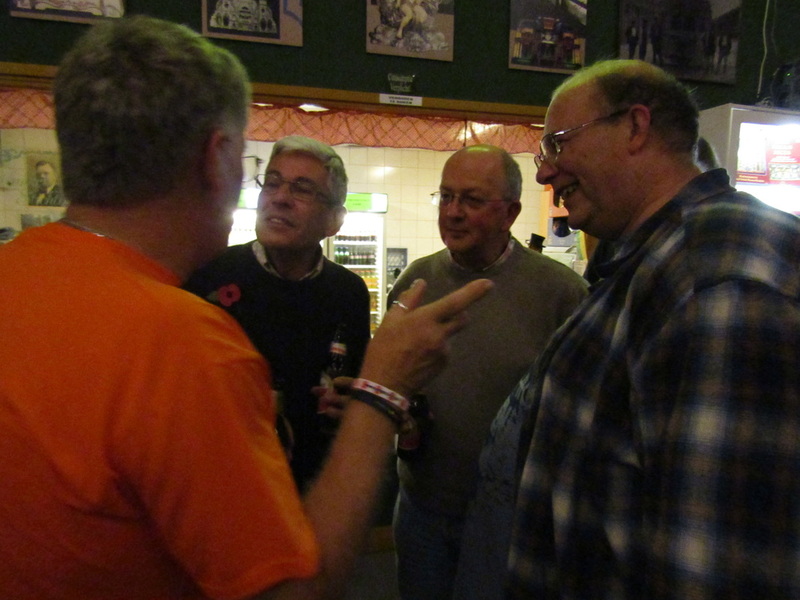 ​Saturday night was Party Night at the Kunkelsstichting in Haarlem. 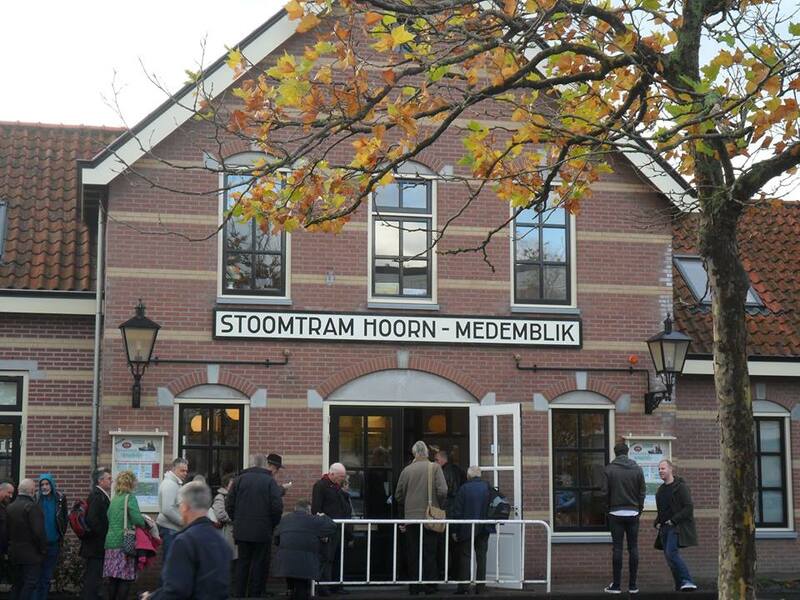 Another new destination ended our trip back to the ferry! 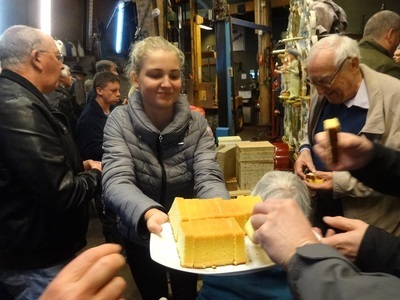 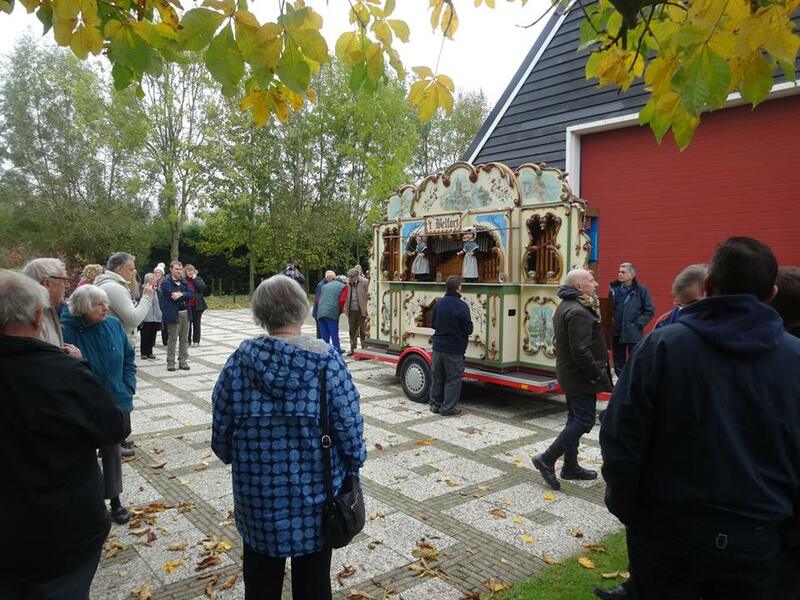 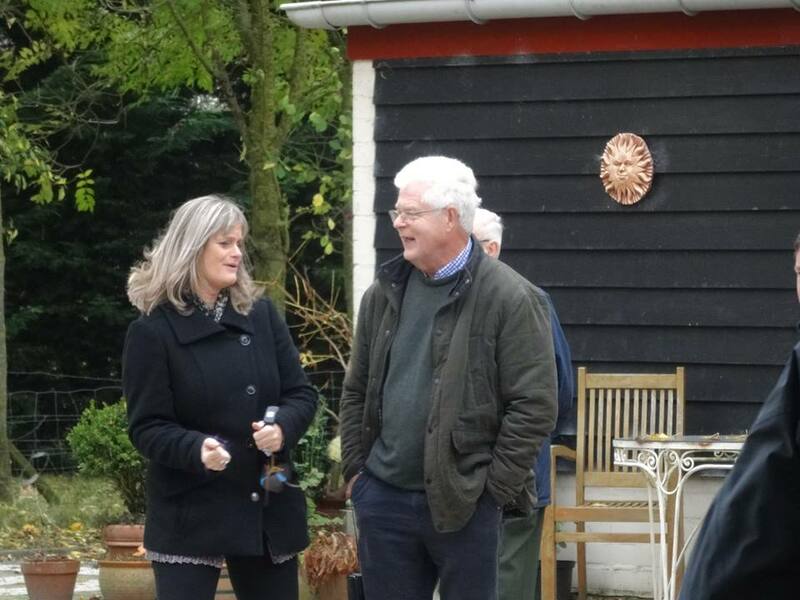 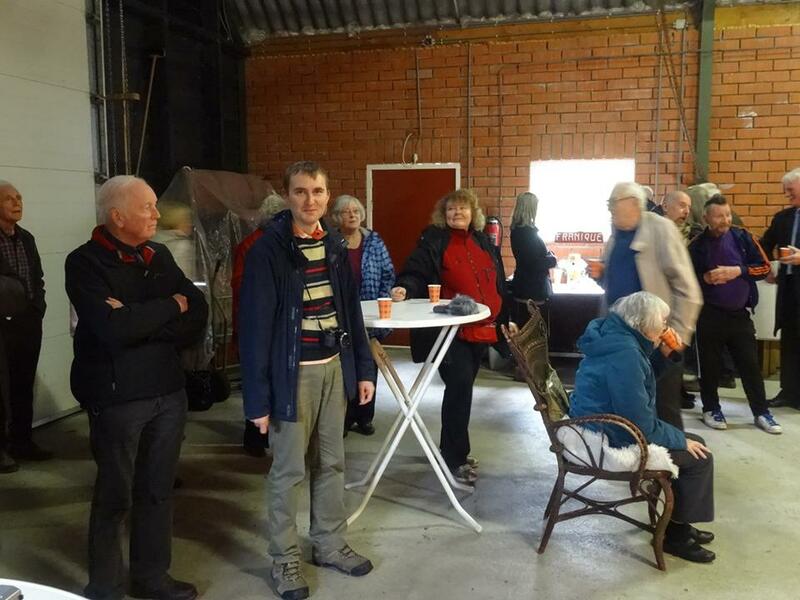 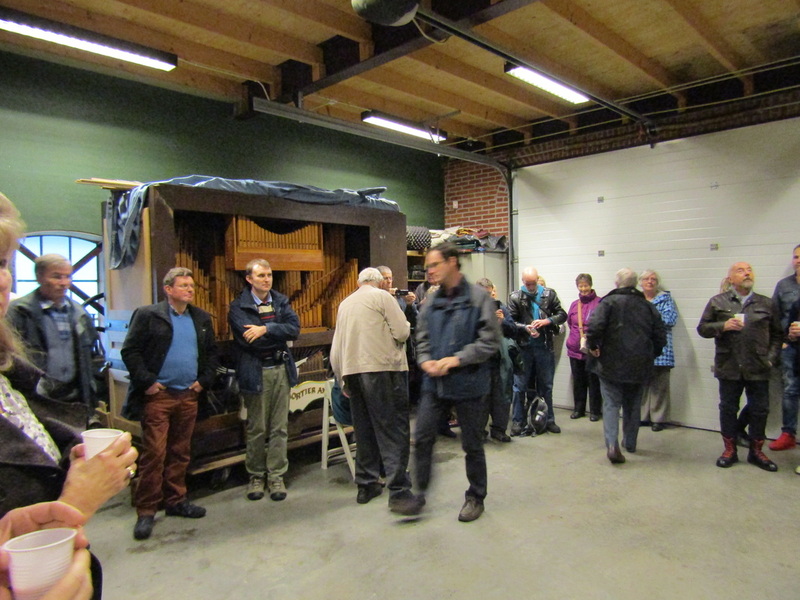 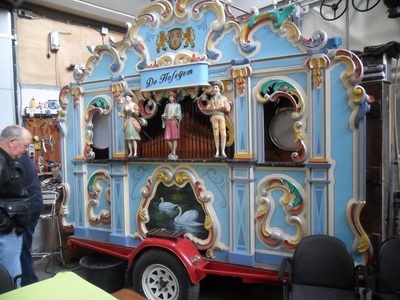 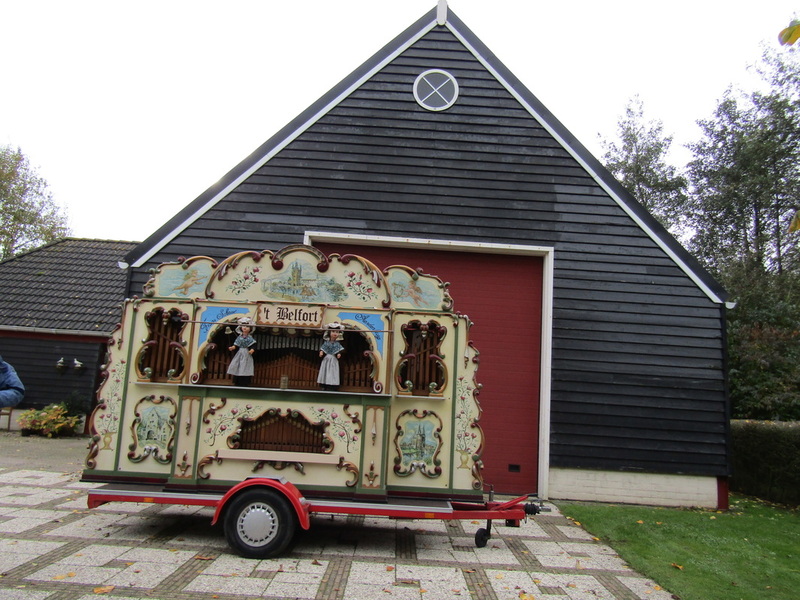 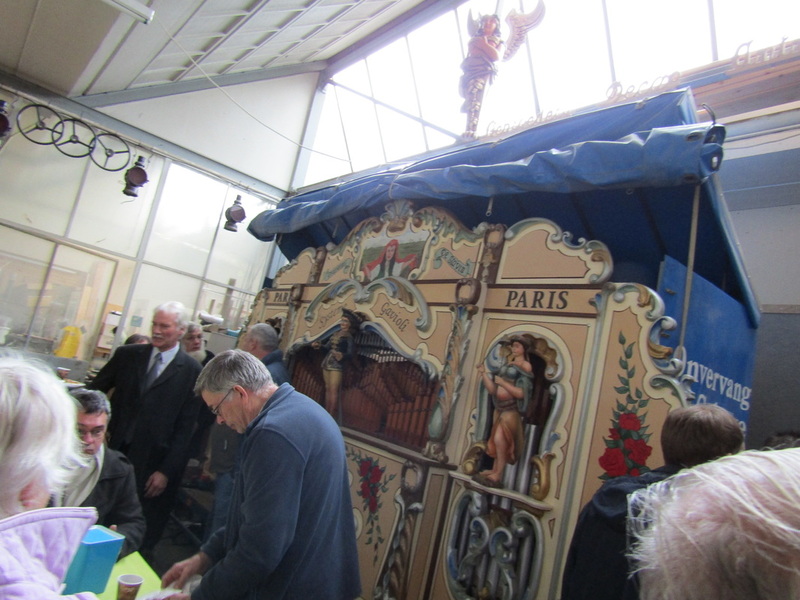 MOOS Member Fred van Dalum at Culemborg invited us for coffee and cake and to visit to his collection of Dance and Street Organs... plus a special accordion recital! 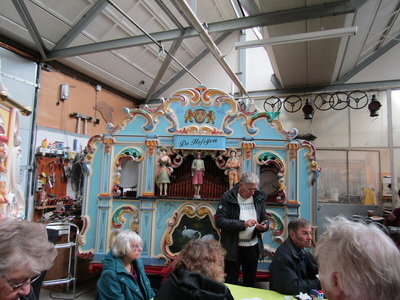 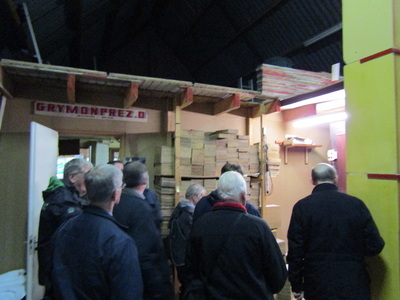 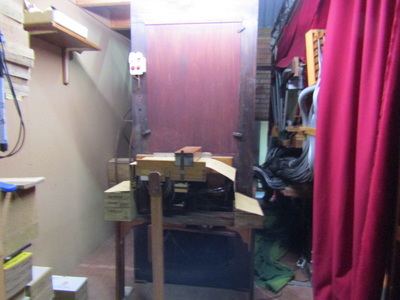 We also got to see around his workshop, where he was producing new organ cases and other organ parts.